Its a quiet month of slowing down here, which we do every January, to mentally and spiritually gear up for 2016. I hope you are enjoying a quiet January drawing close to the Lord . . . . . The Kids Were so Excited for Caroling in the Neighborhood and Sang Their Hearts Out This Year. Praise God! We found a birds nest in our Christmas tree. 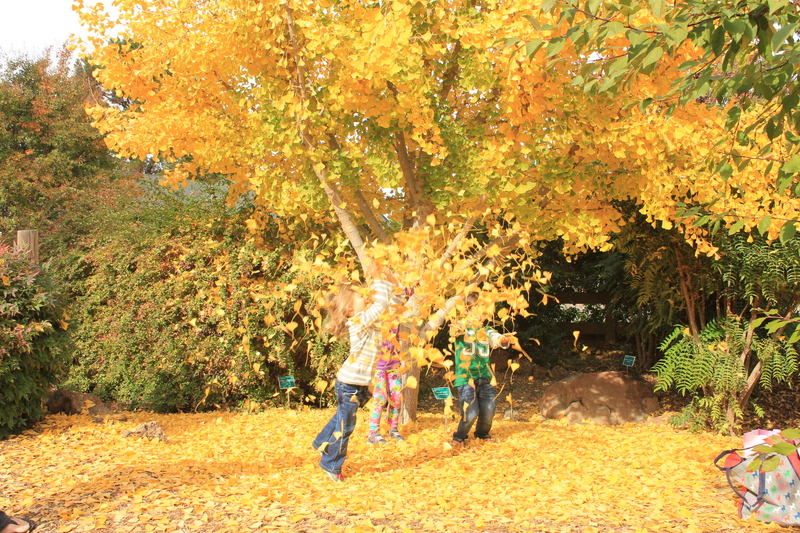 My heart swells when I think of these early years with my children, full of wonderful active imagining. The beauty of childhood– the playfulness, the youthfulness, the imagination–is such a wonder, and truly a time in life to treasure. I feel more impressed all the time to make choices for our children that treasure this time of wonder and imagination. When choosing toys, I have always held the opinion that they should serve to heighten imagination, rather than just entertain. God unexpectedly used my Christmas shopping this year to show me a whole lot more about His heart for imagination. My husband and I just finished some Christmas shopping for our kids, and finding toys to “grow their God given imaginations” was our driving desire. 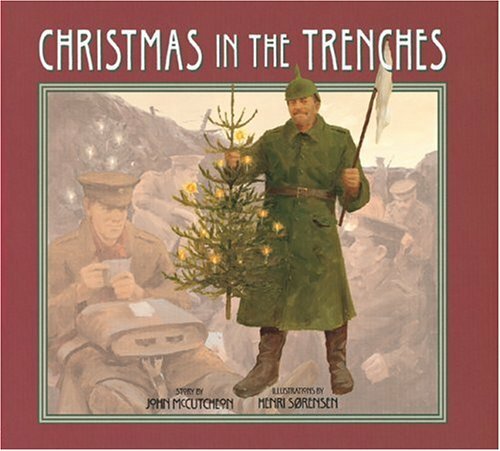 Interestingly, and without planning it, after selecting our children’s gifts, a theme appeared in our choices for each child. I sensed God’s participation in our Christmas shopping efforts. Like handwriting on the wall, Noah’s gift theme appeared as: “Knight in Shining Armor,” and Faith’s appeared as: “Little Mommy.” When I think of how much these “themes” speak to their futures, my heart swells to sense the calling of God on their lives, and to realize that somehow God is allowing our simple Christmas gifts, in participation with His gift of imagination, to actually form their destinies. Yes, I know toys “forming their destinies” may sound a bit exaggerated, but I shall explain. When we as Christians sit with God during a morning devotional, or whenever we meet with Him, He gives us ideas on how to proceed in the upcoming day, or up ahead in life, through His gift of imagination. For example, when we pray about an idea or problem, then get quiet to “listen” for His voice, our thoughts are usually chewing on the topic, and through divine overshadowing of this time of chewing, answers come. 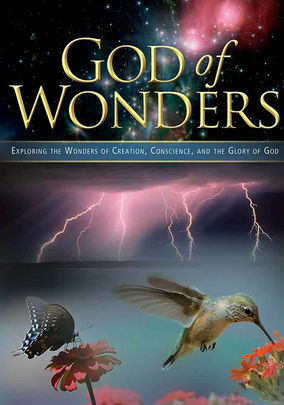 This is how God “speaks.” He often sends His answers like a thought, like a picture in our minds eye, like a new creative idea–in other words, through imagination. Pastor Kerry Kirkwood explains how imagination is an important spiritual exercise that guides us into our destinies. He says, “Imagination simply allows us to see what the Father has already made available for us. Ephesians 1:18 tells us that the eyes of our hearts will be enlightened so that we might know the hope of our calling. Enlightened is translated as ‘photizo’ from which we get the word photograph. Imagination is allowing the Holy Spirit to develop a photograph upon our hearts of our potential destinies. The devil wants us to be blind to what God has thought and determined for us.” Wow, since children often have the strongest imaginations of all, what a glorious time to capitalize on their liberty to release the images and thoughts of their imaginations without constraint. And us grown ups can learn from our children and their unrestrained imaginations, because Jesus said to “come to Me like little children.” God enlightens the eyes of our hearts and wonderful things begin to happen. So what toys would fuel Godly imagination AND won’t end up collecting dust? 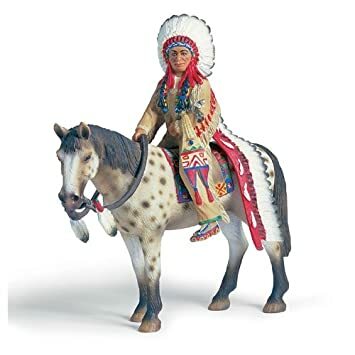 How about historical toys that match the time period/people you are currently studying and have already studied in homeschool? We have some Indians (last years study), some Egyptians (this years study), and now Noah is really hoping for some knights (we study the medieval period in a few years from now). 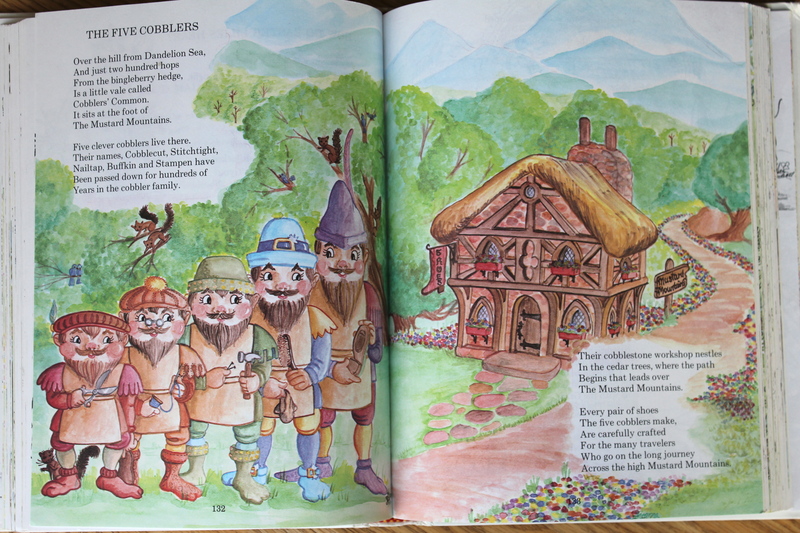 Three reasons for historical toys: one, history is full of noble exemplars for our kids; two, history is God’s story (“His-story”) and stories are perfect for re-enactmenting (narration! ); and three, living history books full of interesting mind food give toys a brand new life/potential with each new reading. 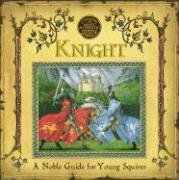 I absolutely love that homeschool kids can get caught up in a life of true hero emulation rather than caught up in all the junky “dark” play figures marketed to kids, especially boys. What we admire, we tend to become. While many kids grow up admiring Pokemon or dark comic book characters, thank God, some are being preserved in wise Godly homes, and guided towards other heroes such as noble warriors or selfless missionaries, from the past or present. 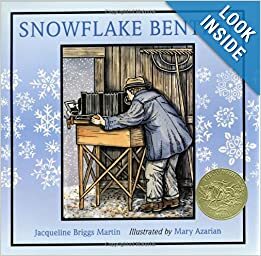 When we study one time period, or one hero, for an extended time, the whole stage of our children’s imagination becomes filled by the inspiring cause or person. Ultimately, as we read heroes, think heroes, play heroes, and pray to be heroes, the beautiful result is that we become more capable of displaying the same large hearted actions of these “mighty men” we study. 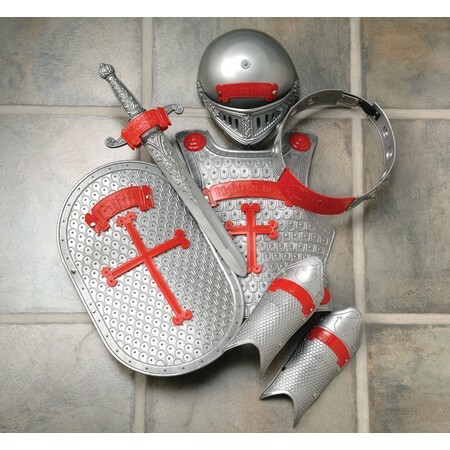 God is calling our boys to become the next “mighty men”, our girls the next “mighty women”, and it all begins in the precious imagination of a little child. He has a hard battle to fight. Will find a most powerful foe. All honor to him if he conquers. Whose strength puts a legion to rout. And conquers by arms in the fray. Will give you the strength for the strife. Loving unconditionally, no matter what, no matter who. Very brave, that she also may be unafraid. Knowing what to do, big and small, to help her through it all. Knocked down, yet standing strong for another round. and all her problems disappear for awhile…. Helping the helpless, never thinking of ourselves and being un-selfish…. Melissa and Doug’s fold out play castle. 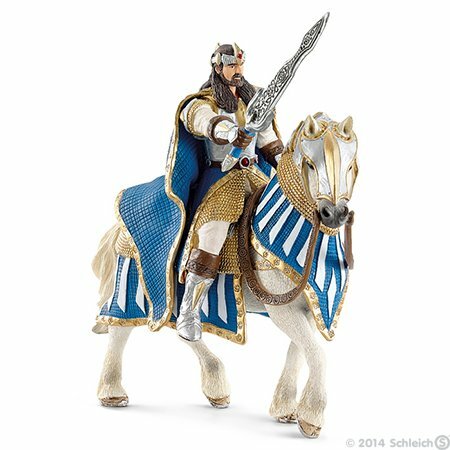 Knights by Schleich are beautiful hand painted toys. 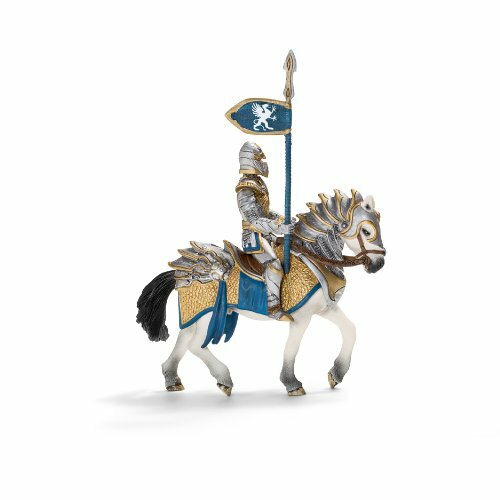 The Griffin knights in blue, white, and gold are my absolute favorite. Noah LOVES gold. 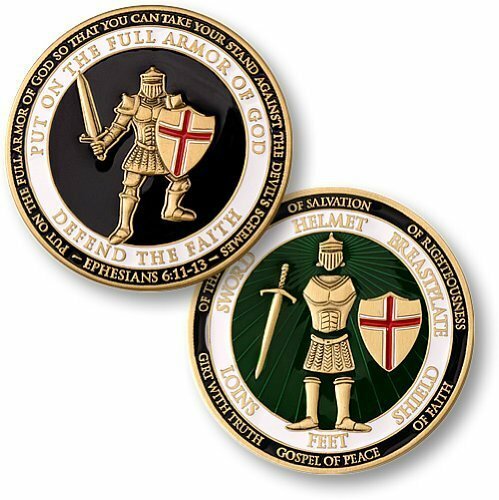 A special coin to remind our son of his spiritual armor. 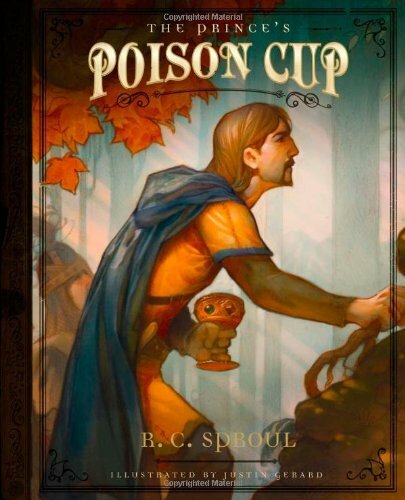 A Christian allegory illustrating the importance of guarding his heart from evil. 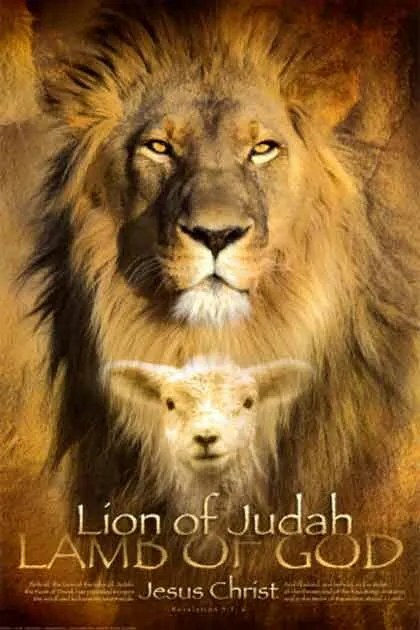 A poster to remind our little knight that he serves Jesus, the Lion of the Tribe of Judah, and the precious Lamb of God. 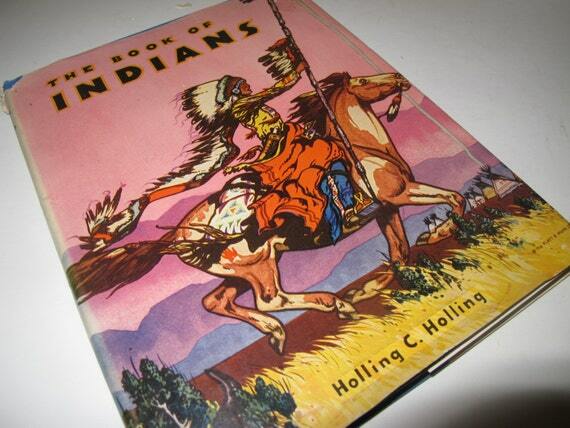 Holling C. Holling wrote The Book of Indians, published in 1935. Holling and his wife, Mrs. Holling, lived with the Indians. 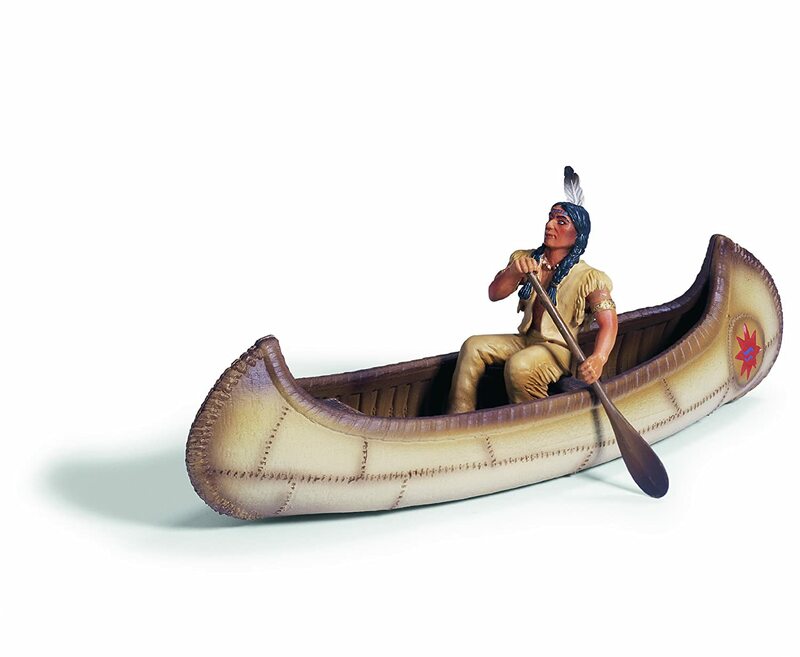 “In the northern forests we paddled their birch-bark canoes, and slept in their wickiups. We rode our horses beside theirs across the great plains and camped in their teepees in the mountains. In the desert they made us feel at home in their pueblos. We have fished with them in the surf of the Pacific Ocean. 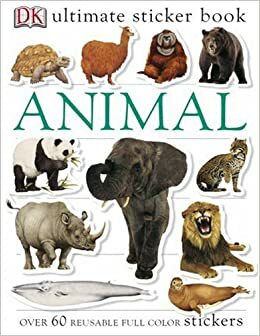 This book is the result of some of that hunting, riding, camping and research.” This is an awesome living book on Indians for young children!! An ergo baby doll carrier just like mommy’s! A really nice Costco find. I’ve always wanted a pram for Faithy. 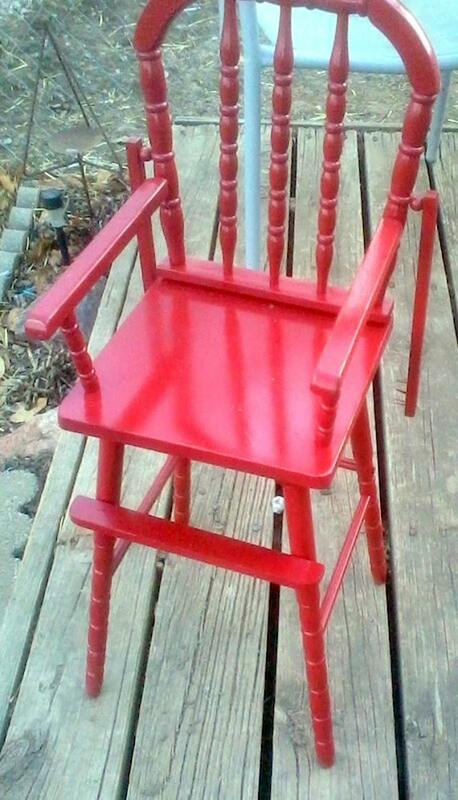 Faith’s new doll highchair from Etsy, and red, of course. 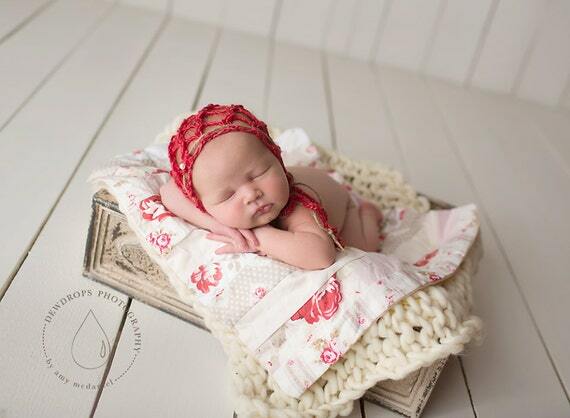 A sweet doll blanket from Etsy. 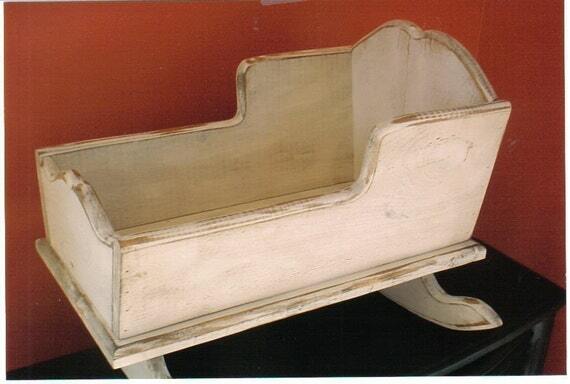 A handmade baby doll cradle from Etsy. Wacky sand that sticks together and oozes through your fingers. 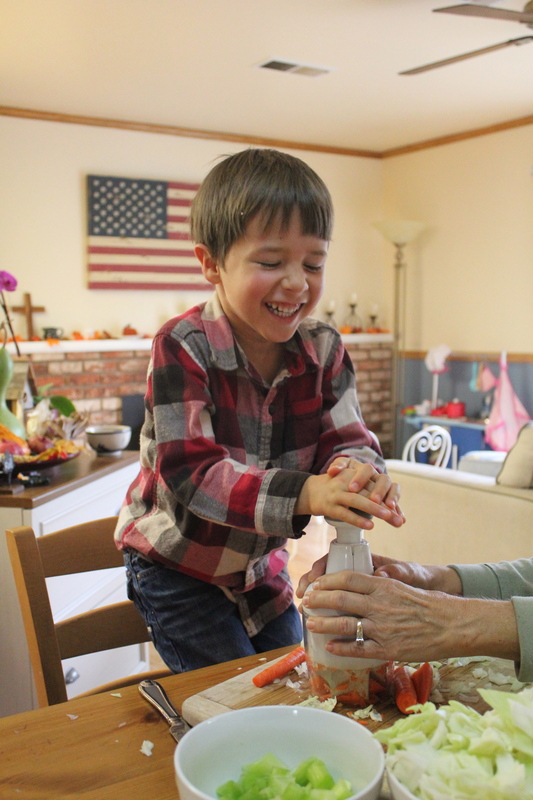 Putty that you can bounce, bend, tear, stretch, snap, pop. Magnetic and color changing too. 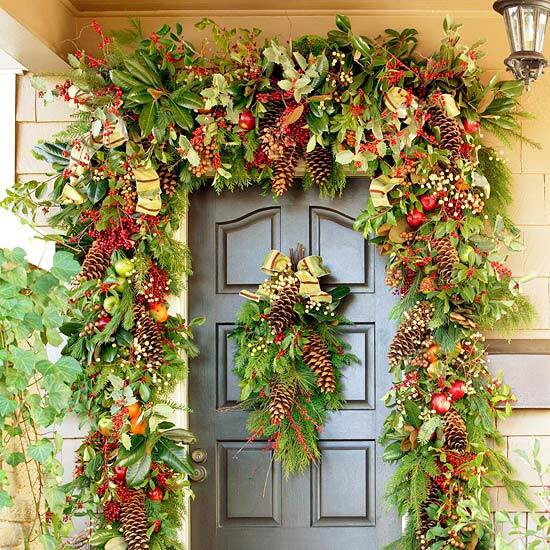 Its time for Christmas bells to ring and proclaim throughout the earth that Christ the King of heaven is born! Our family is delighted that Christmas season has arrived and that God will continue to use the holiday to reveal Christ incarnate in our home and hearts. Last Christmas, we prayed for that very thing to happen in our children, and our 3 year old Faith fell so in love with baby Jesus. It was a sweet dream come true. Hearts falling more in love with Jesus is why a hungry anticipation fills each of our Christmas festivities, whether they be spiritual or very natural. Christmas is a teaching opportunity in every home. In scripture, God ordained holidays to be times of recollection and teaching, when families bring back to mind the wonderful works of God and explain them to our children. 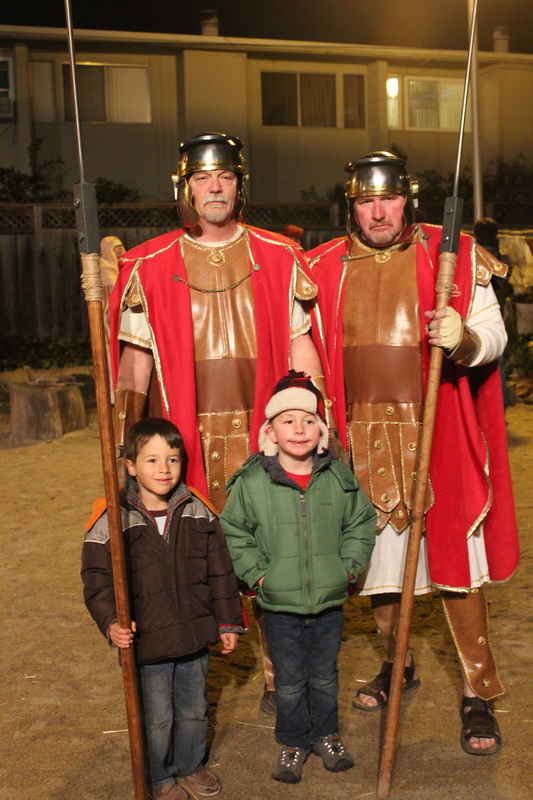 Melanie Young, author of Raising Real Men, points out that holidays give us the opportunity “to draw the attention of our children, our family, our friends and our acquaintances to the truth of God’s Word in a winsome way. We rejoice in the Christmas season like the people around us, but with a difference!” How would we approach the holiday differently if we primarily thought of Christmas as a teaching opportunity? The December character study in our Precious Lambs school is obedience, which may be considered the foundation of all other character traits. As much as Christmas time seems like its all about love and joy, scripture reminds us that true love must be accompanied by obedience. Jesus said, “If you love me, you will obey me.” Its only through obedience that we can show love. Discipline is important in training children in obedience, but a loving relationship is a prerequisite if discipline is to be effective. 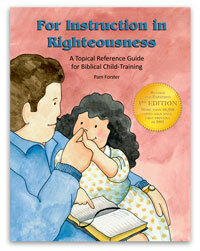 In child rearing we must aim to win our children’s hearts (Proverbs 23:26; Malachi 4:6). If we discipline without having our children’s hearts then we are actually sowing the seeds of bitterness and rebellion. The more we have of our children’s hearts, the less we will need to discipline, and the journey towards obedience will be easier. Charlotte Mason helps us to remember the importance of consistency in forming the habit of obedience. She states, “The mother’s great stronghold is in the habit of obedience. If she begin by requiring that her children always obey her, why, they will always do so as a matter of course; but let them once get the thin end of the wedge in, let them discover that they can do otherwise than obey, and a woeful struggle begins, which commonly ends in the children doing that which is right in their own eyes.” She reminds us that obedience means children respond right away, with a good attitude, and with thorough effort–anything less becomes a constant source of irritation. She says, “…..the mother will insist from the first on an obedience which is prompt, cheerful, and lasting–save for lapses of memory on the child’s part. Tardy, unwilling, occasional obedience is hardly worth the having….” How true! 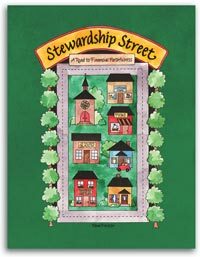 I invite you to join our Jesus’ Precious Little Lambs school by following along with our lesson plans at home! You are welcome to homeschool with us! To better understand how we use these lesson plans below, and get the “full picture”, please see our curriculum overview for the whole school year, and our daily schedule. To let you know where our plans come from, we purchase Simply Charlotte Mason’s lesson plan handbooks for History/Bible, Geography, and Nature Study. We use SCM’s free curriculum guide, book finder, and suggestions from the discussion forum to help us select books for other subjects (no lesson plan books needed). 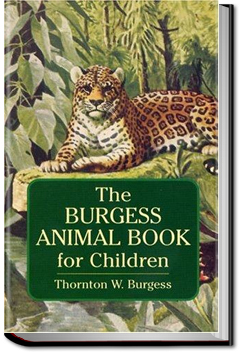 Living books, being the emphasis of a Charlotte Mason education, means that most of our curriculum is purchased from Abebooks.com, or comes free from the library. School for us is just a big stack of carefully chosen living books, and narration; no textbooks, workbooks, or scripted lesson plans. We love how Charlotte Mason methods are easy, delightful, and a beautifully rich feast for the mind! .. . . . . . . . . . . . . . . . . . . . . . . . . . . . . . . . . . . . . . . . Learn more about Ancient Egyptian life to be able to share with kids conversationally as interest and relevant opportunity arises. Listen to/read classic AW Tozer books for better understanding and experience of worship, the purpose of man. Continue Praying for people of the nations, especially Africa and other places we have learned about in our ancient history studies. Use the children’s book, Window on the World:When we Pray God Works, to inform us about people groups and provide prayer points. Ask God to search our hearts for areas of disobedience, acknowledge when and how we are/were disobedient. Thank God for ways we have been obedient. Ask God for our obedience and our siblings. Use Instructions in Righteousness to help identify areas of persistant sin/disobedience, and its suggestions for rewards and pumishments. 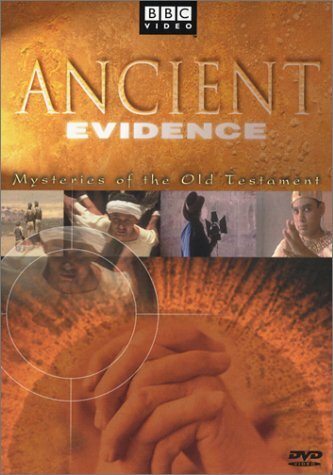 Read Joseph (Genesis) and Hebrews in Egypt (Exodus) stories in the Children’s story Bible by Catherine Vos, and/or my ESV Study Bible. 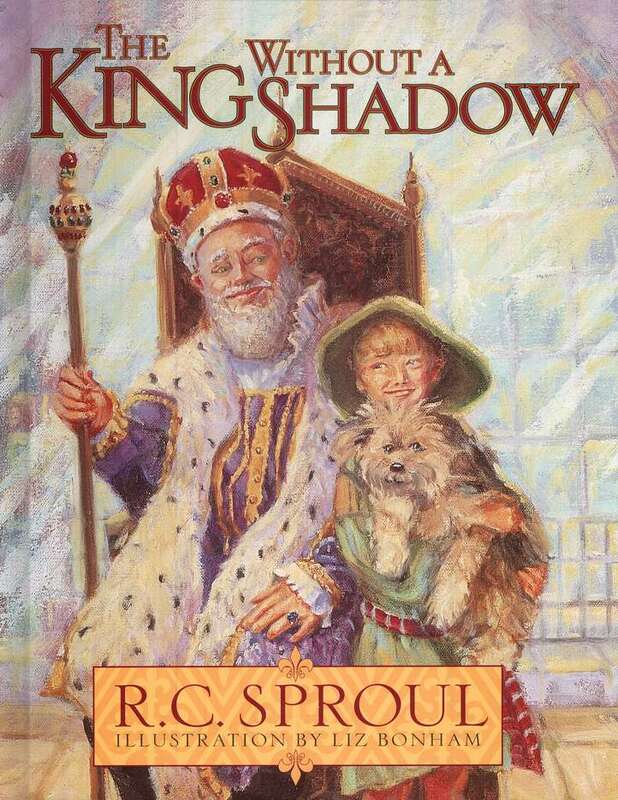 “I,” said the donkey, shaggy and brown. “I,” said the cow all white and red. “I,” said the sheep with curly horn. “I,” said the dove from the rafters high. Written letters, notes of encouragement, Christmas and birthday cards, thank you cards, shopping lists, nature journal entries, prayer journal entries, poem or memory verse. 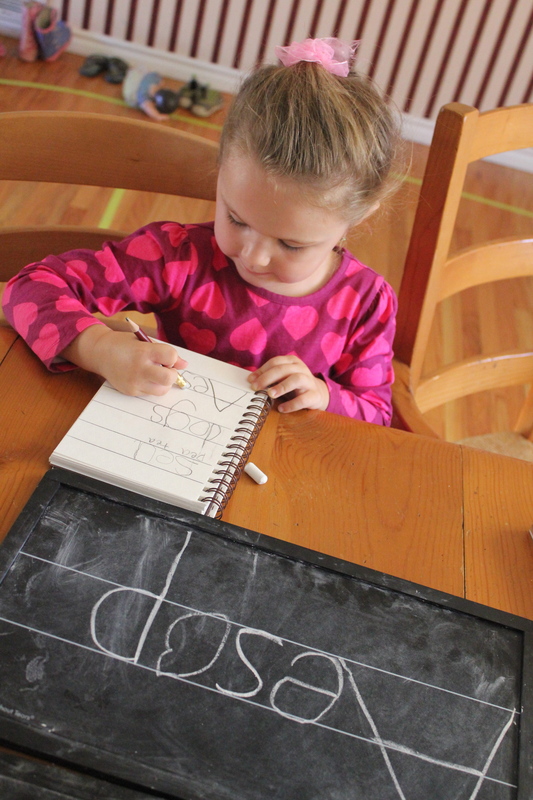 Preschooler Faith will sound out 3 and 4 letter phonetic words, and spell them out with letters (word build). 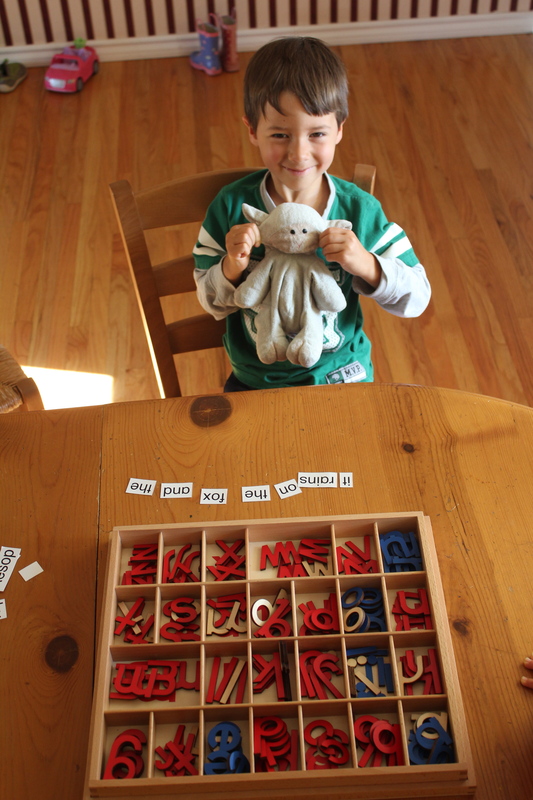 Kindergartener Noah will build review sight words (non phonetic words) that he learned to read last year, practice building sight words from this years reader, as well as sound out and build an occasional phonetic word for phonics review (especially words with blends and digraphs). Ongoing Review: Spend a few minutes a day practicing instant recognition of number combinations. Use homemade “flashcards” with arrangements of items that can be counted (like toothpicks or buttons that can be grouped into two numbers upon closer inspection in order to quickly find the total). Hold up a card and say, “Tell me fast. How many?” Ask, “How did you know?” (Cause there is a four and a three, and that’s seven) When recognizing groups of more than five easily, child will have to mentally combine the smaller groups that make up the larger ones. The Hiding Assessment (p 29) An assessment to see what children know about number combinations already. This will help determine the appropriate size number to give a child during math lessons who is working with number combinations. Starting with five counters, hide some behind your back and display the remaining counters. 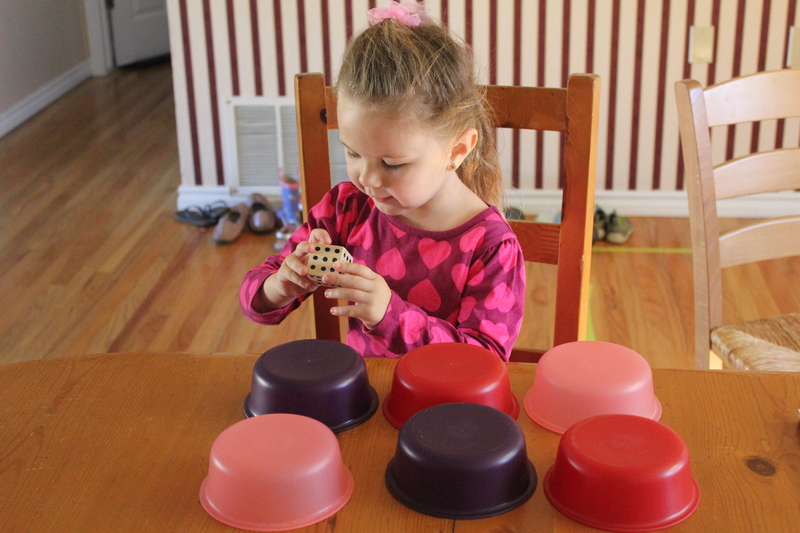 Ask, “how many are hiding?” Still with five counters, try hiding different amounts behind your back and asking, “how many are hiding?” See if children can say the missing number quickly and confidently, if they need time to figure it out, or if they are unsuccessful. Try larger numbers of counters if successful. Try smaller ones if unsuccessful. Complex Addition and Subtraction Stories (p32) Have children act out equalizing, missing addend, and comparative addition and subtraction stories. 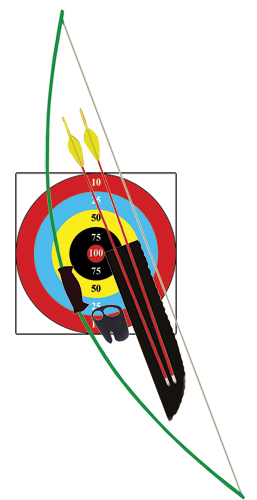 Equalizing–Mark has six bowls, Carrie has 4. How many more will Carrie have to make to have the same number as Mark. Missing Addend–Mark has six bowls. He needs 10. How many more does he need to get? OR Mark has 8 bowls now because he got 2 for his birthday. How many did he have before his birthday? 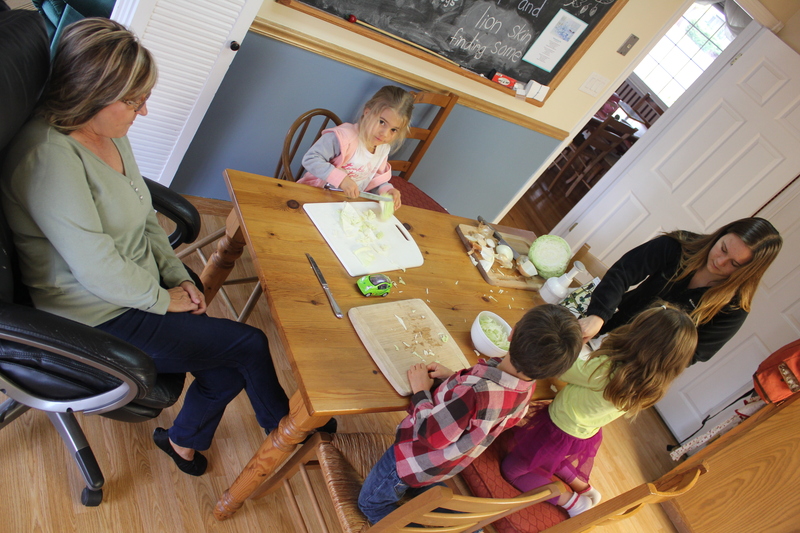 Comparative Subtraction–Mark has 6 bowls and Carrie has 4. How many more does Mark have than Carrie? Number Shapes (p 65) Number shapes are distinctive arrangements of squares representing numbers four through ten. They can be filled with manipulatives in various ways to show number combinations. For addition use two different color counters and say, “Put three red and three blue counters on your six shape. This shows that three and three equals six. Can you find another way to arrange those counters? And another? How did you arrange them this time.” Then do 4 and 2, and other combinations of 6. For subtraction use one color of counters and say, “Fill up your shape with blue counters. Take one off. Can you tell what you did?” When children can use number shapes to find combinations independently, have them record their work with crayons or colored pencils on worksheets with predrawn number shapes. They can also write out equations to describe their combinations. Number Arrangements Using Cubes (p78) Have children make cube arrangements (into a simple design) for the number of the day, and talk about what number combinations they see in the arrangement. Pose some questions for an extra challenge such as: “How can you arrange cubes so that their full sides are touching?,” “What designs can you make that have corners kissing?,” or “Can you make a square with your number?” Have children record their arrangements on paper by gluing down small squares of paper to represent their cube arrangements. Describing a Number By Its Parts (p 56) You and your child both make a cube train of a specified length (pick the right size number for your child). Give the signal “snap”, and both of you break your train into two parts any way you like. Take turns determining the number combination in each others hands (“3 and 2″ or “1 and 4″ for a train of 5 for example). For numbers greater than 6, say how many cubes to break off, give child time to determine the combination, and then ask, “How many?” The next level to this activity is for each person to keep one hand behind his/herback, and have your partner predict how many cubes are hidden. Then check predictions. Plus and Minus Train (p 35) Make 2 gameboards with the outline of cube train 2o cubes long. 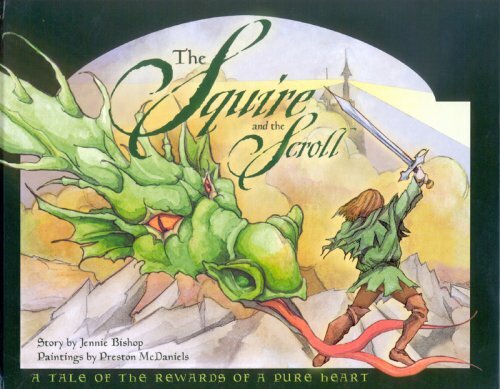 Each player puts 20 cubes on a gameboard. The goal is to be the first to completely clear his or her board. Each player rolls a 1-6 number cube (dice) and spins a spinner with minus sign on one side and plus sign on the other to see how many cubes to add or take off. Players lose a turn if they have to add more cubes than there are spaces available. 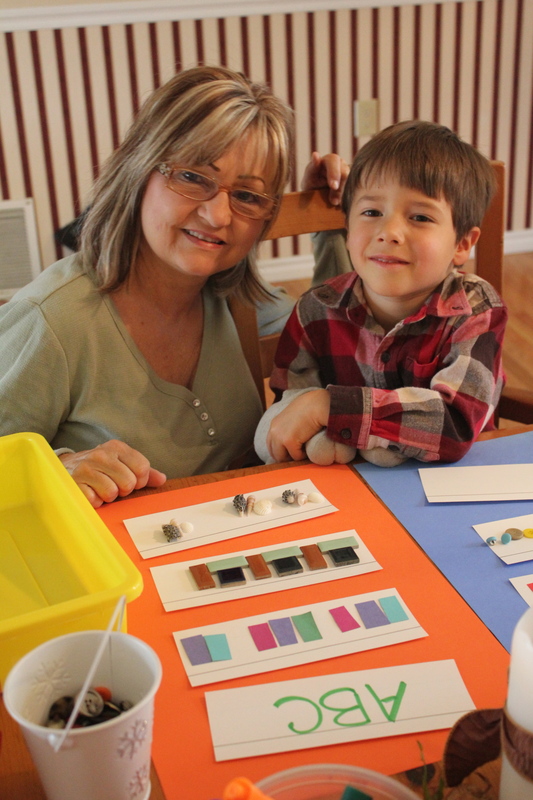 Use pattern block mats to build Christmas patterns (from Prekinders.com)–if building on top is easy, build next to. 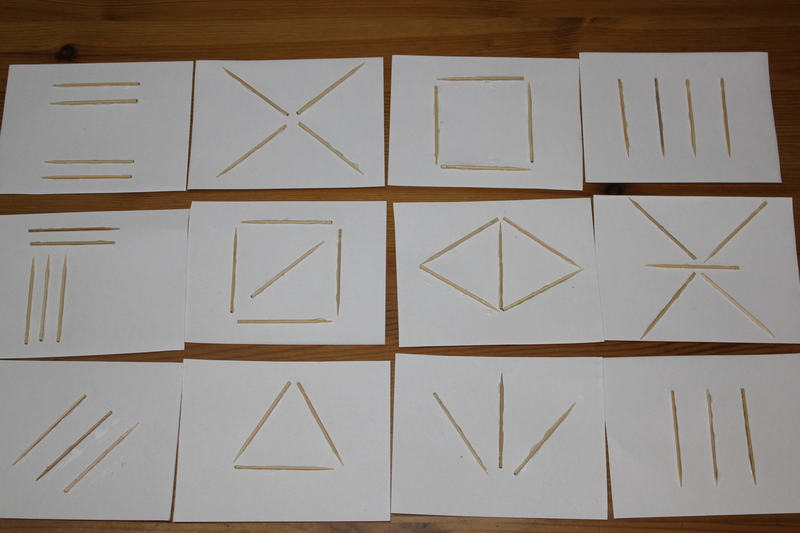 Have children place number sets (such as toothpicks pictured below; or stickers, coins, beans, paperclips, etc. mounted on cards) on the correct sections of a butcher paper number line. 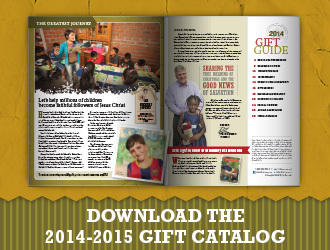 Pick out a Christmas Gift to give together from Samaritan’s Purse Catalog. Shepherds Pouches can provide a meaningful way to help kids earn money for the chosen Samaritans Purse gift. Have a Happy Birthday Baby Jesus Pajama Party! 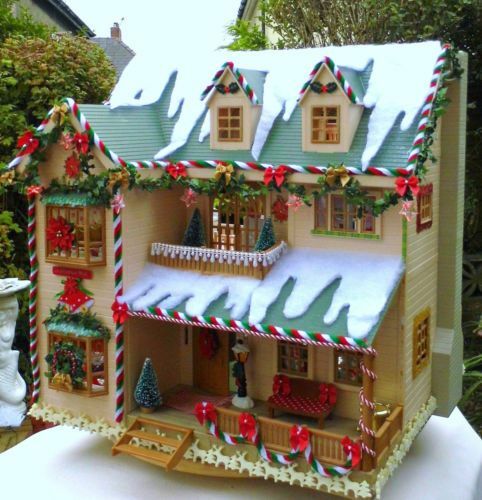 Decorate Faithy’s Dollhouse for Christmas. Build a manger for our baby doll Jesus from collected sticks. 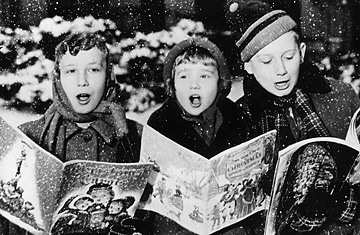 Caroling around the neighborhood gives children an opportunity to spread the gospel. We will sing this song and and pass out goodies. I invite you to join our Jesus’ Precious Little Lambs school by following along with our lesson plans at home! You are welcome to homeschool with us! Please take a look at Welcome Back to School & Fabulous Fours and Fives for a basic explanation of each area of study that you see here in this monthly lesson plan (bold blue headings), as well as a description of the beauty of Charlotte Mason education methods. To preview our monthly themes planned for the year, also see our 2013 masterplan. 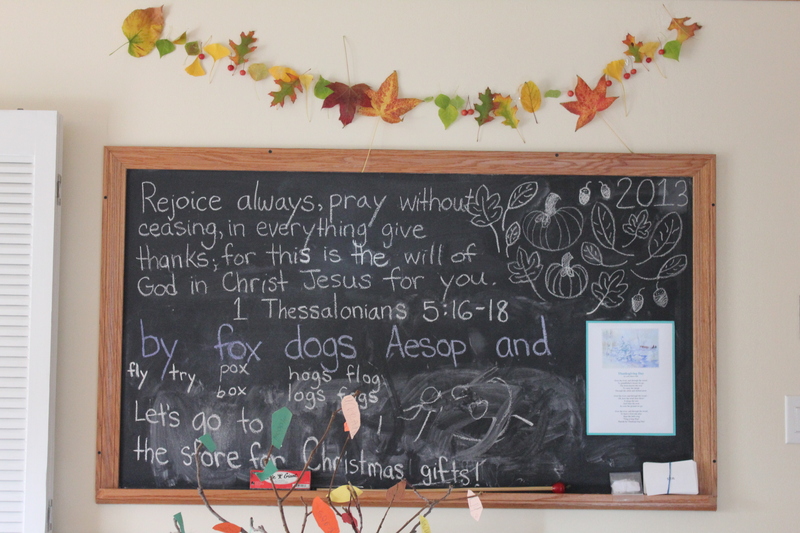 If you would like to call your school Little Lambs as well, see my post Founding Message of Jesus’ Precious Little Lambs, a sweet Bible lesson I presented during one of our very first circle times that you might want to use with your kids too! Before teaching your children, enrich yourself with Charles Spurgeon’s sermon The Incarnation and Birth Christ. December 10th–COMMUNITY OUTREACH Pass out candy canes and The Legend of the Candy Cane in the neighborhood. December 12th–PAJAMA PARTY Come to school dressed in your jammas for a “Happy Birthday Baby Jesus” party! But what can I give Him? I will give my heart. 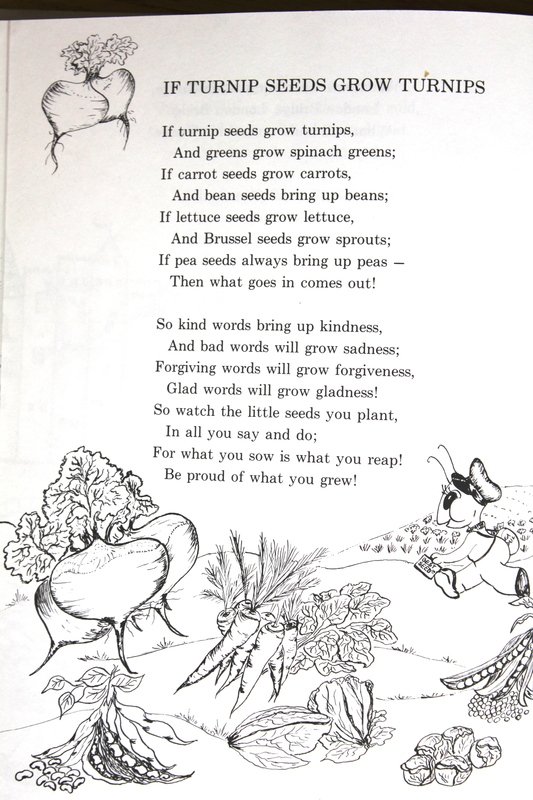 and all the words from the fable in the reading lesson below. Using loose letters, build words that rhyme with each of the words assigned for this month (ex: tear–wear, fear, near, gear, smear, clear etc.). After completing each of the following lessons, and the children feel comfortable with them, make the materials available during independent work time/free play for the children to practice the activities on their own. Look into the lineage of Jesus Christ and show young children how the birth of Christ was planned and prepared through the ages through God’s people. 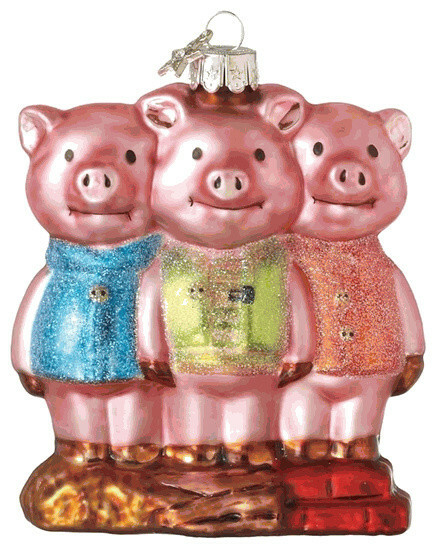 Color or make ornaments that represent the story of the day. Through various Scripture readings, the Jesse Tree takes the first 25 days of December to explain the lineage (or ancestry) of Jesus Christ. 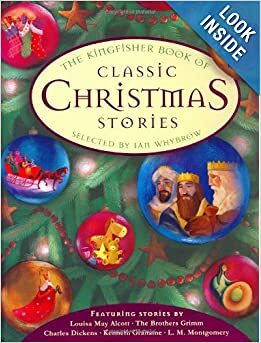 Stories that are key throughout the Old Testament are explained in a way that shows even very young children how the birth of Christ was planned and prepared, through God’s people, across the ages. 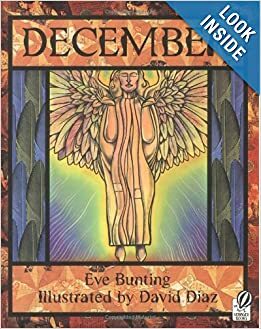 Children can make or color ornaments that represent each story and then hang them on a Jesse Advent calendar tree. Winter is a great time for a bird study since they are easier to spot in leafless trees. Sometimes it seems like Noah never stops dreaming up things that he wants, or items that according to him, our family could use (little things– like a two story house, or a camping trailor). How could someone so little want so much?? At least when we reached out this month to an Operation Christmas Child and a local homeless person, Noah was dreaming of buying houses and cars for someone else. Boy can little people dream. Its annoying when all our kids dreams seem to center around toys, right? But when that ability to dream suddenly turns its attention towards something righteous and amazingly Godly, aren’t we thrilled that they have that power to dream? I don’t want to squash Noah’s dreams, nor do I want to make poor financial confessions, and so you won’t catch me answering “we can’t afford it”. How much did our parents always saying “we can’t afford it” when we were young effect how we view money as adults? Many of us don’t live in poverty, but many of us still have a “poverty mindset”, and it holds us back. The Bible says ‘the love of money is the root of all evil’, not ‘money is the root of all evil’. I want my kids to keep dreaming big dreams as they grow up, even if those dreams cost a lot of money, and not to have an ever increasing dose of “reality” diminish those lofty dreams into something smaller and smaller as they grow. Thats just it, little people believe, don’t they? At Christmas time, we see this is apparent, perhaps more than any other time of year. And perhaps this is one of those little heart lessons we as parents are to pay attention to this season as we watch our little ones hearts dreaming away. Are our own hearts still dreaming away? Maybe the question isn’t, how could someone so little want so much, but rather, how could someone so big want so little? Let’s give our diminished dreams to God this Christmas and pray that He would enlarge them once again. Want to see some of my ideas for the kids this Christmas? Oh, and I added a few things for myself (those “things” always seems to sneak their way in, don’t they?). Check out JM Cremps Adventure Store for lots of good ideas for boys. Its an awesome Christian family owned store selling “adventure supplies” with the premise that the character of a man depends a great deal on the adventures and experiences a boy enjoys in his youth. How do you get kids that can’t tell time to hurry up? With a time timer! A timer that shows how much time is left. I would love to have a time timer for chores, lessons, and especially clean up time. Not dawdling is a big habit we are working on around here and I feel like a broken record with my, “come on,” “let’s go,” “stop dawdling,” “your time is almost up,” type of comments. I loathe my own nagging some days. I think this little timer may release me from my torture and help teach my children responsibility as they monitor their own time. This is cool! 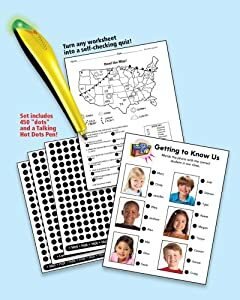 Make your own learning centers/resources/worksheets/tests with your own supply of hot dots and talking pen. 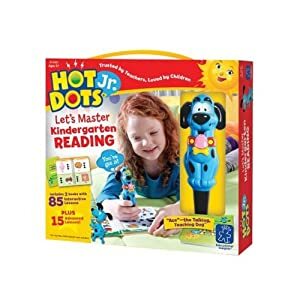 Instead of buying boxed Hot Dot lessons like the one above, you can make your own lessons customized to what your child needs to know, apply the “hot” and “cool” dots, and hand your child the interactive pen. 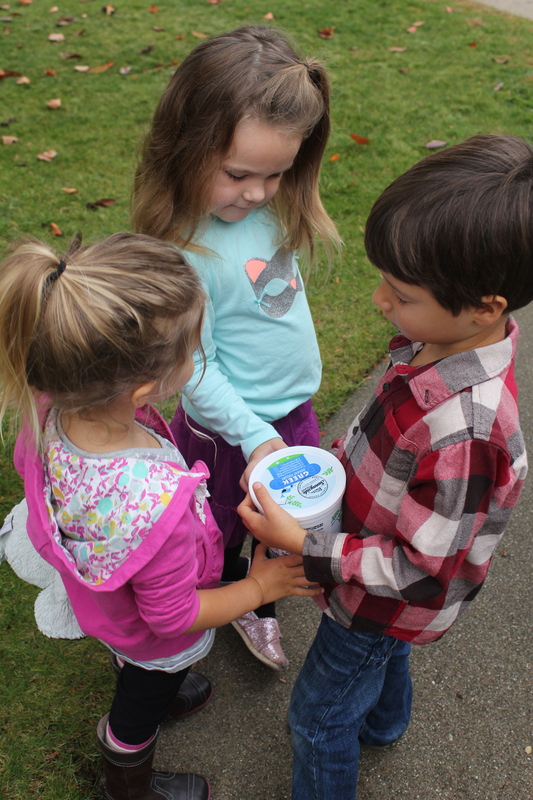 Any surface can become a learning activity (like during a Spanish lesson, stick a hot dot to the kitchen sink, several cool dots to various other items in the kitchen, and then ask your child to go find the “lavabo” by touching the pen to different dots for instant feedback). Working on Beginning Sounds, Yay Faith! Just a short and sweet Christmas greeting for you today friends. I wish I could send each one of you a handmade Christmas gift just for being a reader of my blog! I really am humbled to think that anyone would spend their time here and ponder over my musings. Know that you are in my prayers as I do pray for all my readers. May your Christmas abound with joy! Christmas lights what are you doing? Christmas lights, hallelujah praising the Lord Christmas lights. Christmas lights what are you doing?…….. I like how this song reveals that even the Christmas lights serve to praise the Lord in the eyes of my little one! Let Jesus be in Christmas everywhere we look too! Christmas Craft Central Here….Beautiful Doily Angels. Singing Carols Takes Courage, but We Have Such Gracious Neighbors! I never really understood why I felt uncomfortable with the idea of Santa Clause so this week I decided to get to the bottom of this feeling. Here is what I found on my search. Little children take their Santa very seriously. They often believe and love him with all their hearts to the point of worshiping him. Their eyes light up at just the mention of his name and they squeal in delight when they know he is on his way. Doesn’t it seem sad that this Christmas Eve millions and millions of little children will climb into their beds “looking for their blessed hope and the glorious appearing” of Santa Claus more than, or instead of, the Lord Jesus Christ? Our children’s faith, misdirected and stolen at such a fruitful time of life for growing in faith. 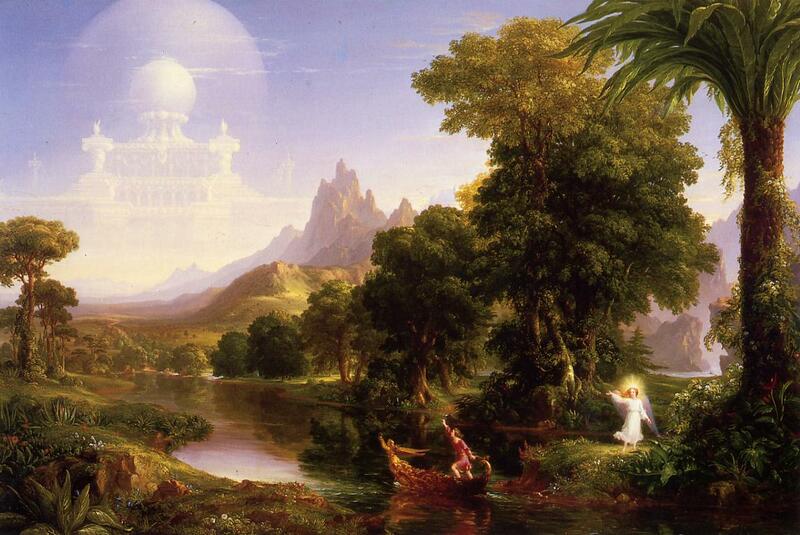 The younger years are by far the most spiritually fruitful in the life-cycle of an individual. Research shows that if a person if not saved by age 13, they probably never will be. 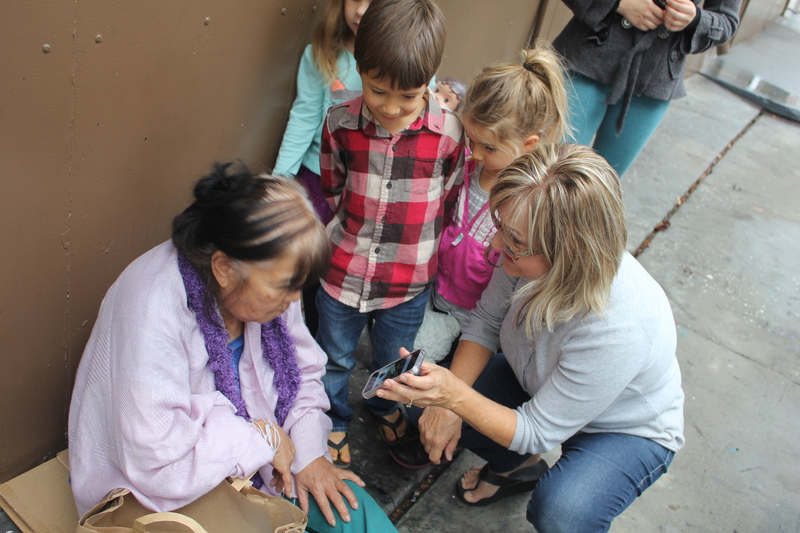 To what lengths are you going in order to help your child believe in Jesus? Give your kids the gift of a Christmas obsessed with Jesus – and no other – when they are little, and it will be their truth all their lives. Talk about Jesus’ impending birthday like it is the most precious, thrilling, miraculous moment you have ever heard of in your life. Assessment Time: Is There Anything that Might be Pushing Jesus Out of Your Christmas? Santa may or may not be a distraction in your home, but what is? “You better watch out, you better not cry….” radio tunes inundating the senses, doing too much Christmas tree chopping and house decorating to find time for devotions, letting shopping for gifts taking precedence, sleeping in again, letting that same ole worship and prayer done year round be “harmlessly” substituted by some extra festive fun this season…….These are examples of recent regrettable decisions and attitudes in my own household that threaten to push Jesus out. Not out altogether, just enough to keep us numb enough that our hearts aren’t quite ready to prepare the way for the glorious incarnate King of Kings. Can you identify with me? Santa may not be the problem at your house either, but there is always something, shiny and alluring, sent to seek and distract us from the humble, simple meditation of a Savior born in a manger. 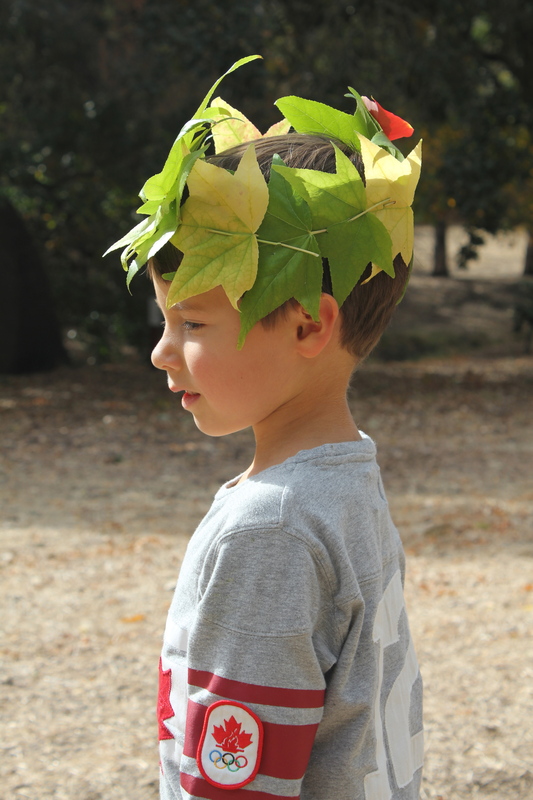 What is your distraction, and how does it effect your children’s interpretation of Christmas? The other night when Dean called us all together for family devotions after what happened to be a full weekend of house decorating and tree trimming, Noah’s response was, “but not at Christmas!” My heart sunk at the prospect that two parents have wasted a weekend prioritizing frivolity, and sending the message that Christmas and devotions don’t pair. I confess that even a weekend without Him unravels me, and causes a risky trade of eternal things for temporal things. The peace we crave so much during the Christmas season, like the peace we sense while singing Silent Night, blissfully settles in every home that puts Jesus first. I need Him! 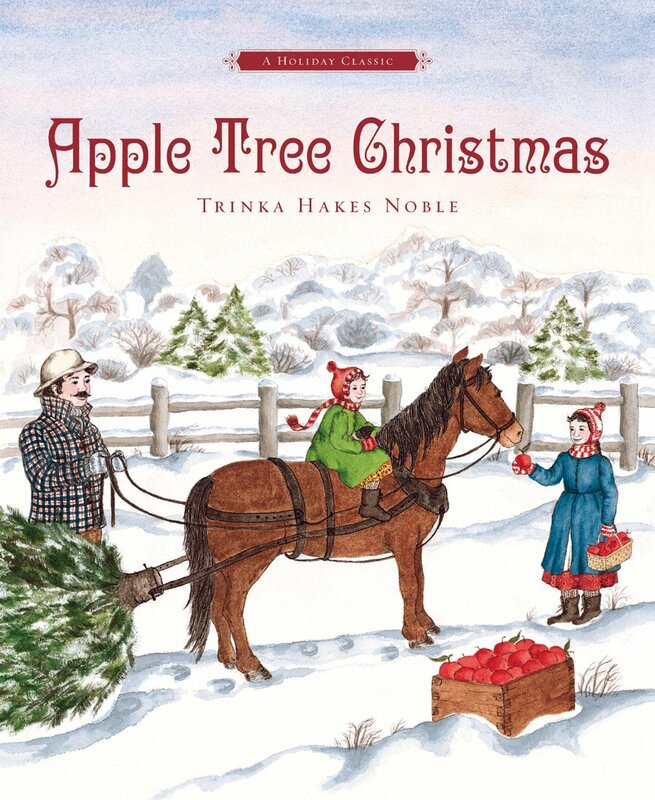 Have you ever wished that your little ones would squeal in delight over baby Jesus rather than the Christmas lights, Christmas trees, or the thought of Santa Clause coming to town? 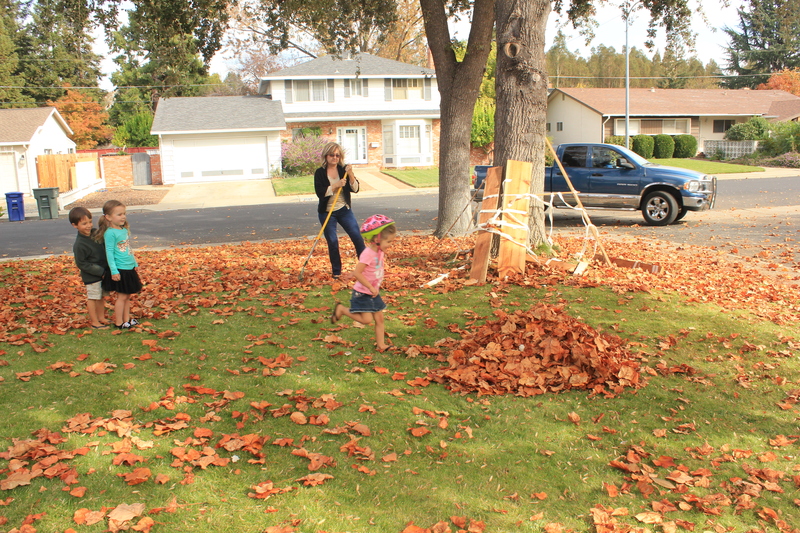 Our children’s interests are tell tale signs of where we have spent our time, energy, and enthusiasm. I know I don’t want to have the typical American (even Christian) Christmas–the same ole family get together, the typical focus on opening gifts, kids clamoring for their stuff, singing corny jingles, everyone over-indulging in baked goodies, perhaps even gathering to hear a somber reading of the Biblical account of the birth of Jesus……but nothing more. I want to forsake whatever traditions make it a Merry Xmas rather than a Holy Incarnation Day. I endeavor to make our every Christmas’ center around Jesus. 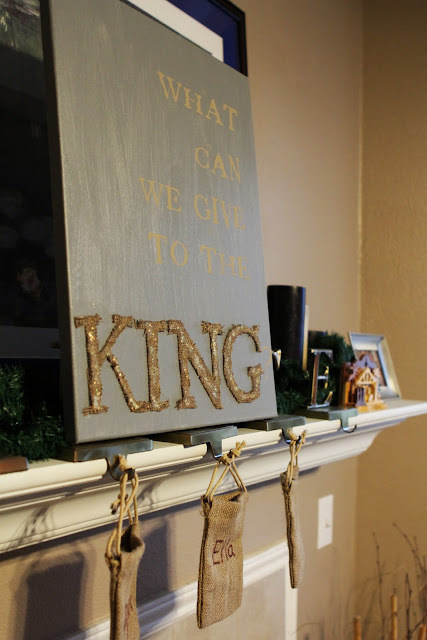 Our kids know almost nothing of Santa, they hear “what do you want to give for Christmas?” instead of “what do you want for Christmas?”, and they usually love cuddling up by the tree to sing Christmas hymns and read the Christmas story nightly…….But every year I crave to know what else Lord?? 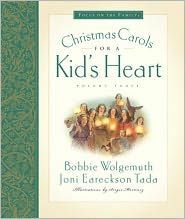 What else will bring my kids to closer to the heart of Christmas and send the true message? After my little boy said, “I don’t need anything for Christmas. I have enough.”, I found a similar story written on another mom’s blog. A child shall lead them……. I pray to be led. 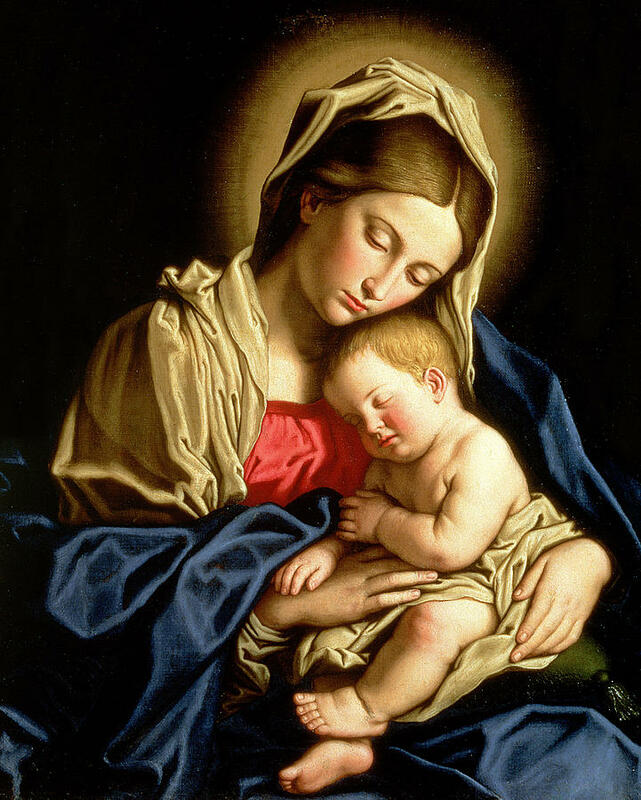 If you aspire to a more holy CHRISTmas for your family, I encourage you to read her story. The whole universe was breathless with anticipation of the coming Messiah on that first Christmas, and yet the holy night slipped by largely unnoticed by most of the world except for those few who stood around the manger. Be careful not to let this Christmas slip by without taking notice of Him. The profound but quiet treasures of Christmas, as subtle as a still whisper, can become utterly lost in translation due to distractions that degrade a very holy thing into a very common thing. Prepare the way for the King of Glory until you are breathless with anticipation. May our prayer and worship be a moment of incarnation – God with us. If you make this recipe, don’t expect cupcake as you know it, expect iced cornbread like muffin (we actually skipped making the icing to keep it less sweet for the kids). Not bad if used as a base for adding apples or raisins or cranberries into–next time! This is the only center Noah has said he LOVES and he does it at every chance throughout the day. I Love the Way this Branch Brightens Up My Kitchen! 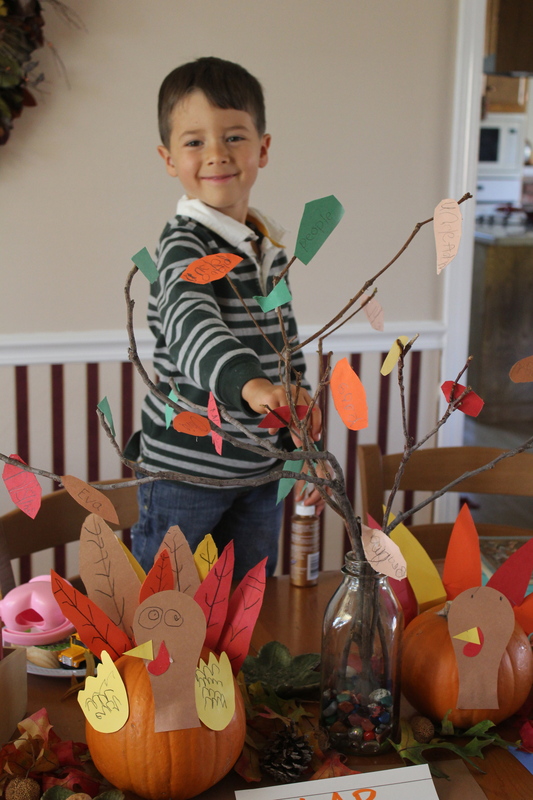 I picked a branch off a tree, picked most of the leaves off, and had the kids glue wads of tissue paper to the branch to look like fall leaves changing color. I put it in water several weeks ago and the leaves are still healthy. Now I am going to hang little ball ornaments from it! Thank you Miss Mary for the idea!!! This was an awesome idea of Miss Sheila’s!!! 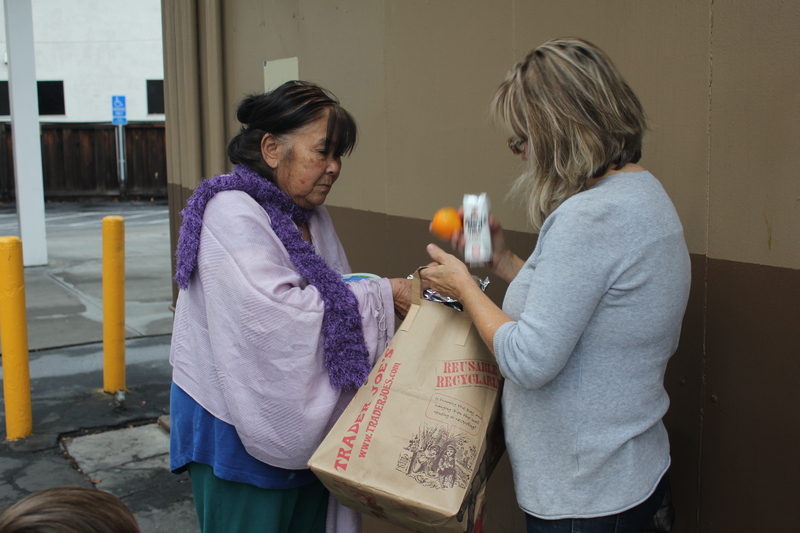 We take the bags around with us in the truck when we go out to eat or something as a family, and when we spot a homeless person while driving by, Dean whips the truck around and I run over to deliver a care package (with hot soup if possible too). Its an adrenaline pumping experience as you never know what the homeless person’s response will be! Its drive by outreach! Faithy said, “Its a Heart Mommy!” Mommy is Proud. Go see the pic on my very first post. Now you know why we are Little Lambs Preschool. Someday I need to get on my soapbox and write a full post on the ludicrously segregated marketing of girl toys for girls and boy toys for boys. For now, I will start with a paragraph. 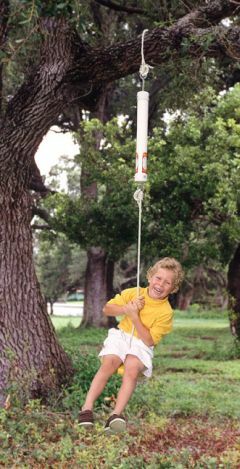 Do you ever wonder why aren’t there more shared toys for girls and boys anymore like when we were kids?? Why do girls need a pink airplane when a white one would suffice? Well, toy companies found that they can make a better profit if brothers and sisters don’t share their toys. Marketing sends powerful messages, and according to the Toys r Us ads and toy aisles, girls only like variegating shades of pink and play solely with dolls, clothes, make-up, and princesses. In contrast, boys, surrounded by blue, are future scientists, architects, and construction workers. This never bothered me so much until I had my own little girl, went shopping for her at Toys r Us, and left empty handed racking my brain as why girls toys are so lame. Princess toys are not the problem, but the lack of alternatives is. It feels now days that “princess” is synonymous with “girl”. We now have a “princess culture” — the entire bubblegum wash of glitter, sparkles, rapid materialism, and cult-like following that Disney and Barbie have no intentions of slowing down. 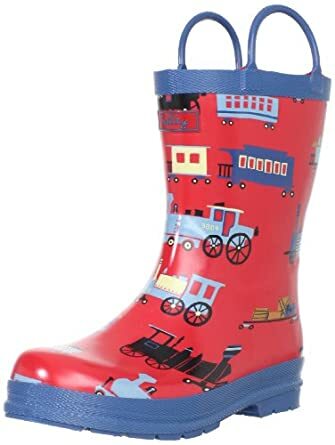 Don’t get me wrong, I will be buying Faith the prettiest doll pram, baby doll, and other “girl” toys, but I am also happy that she plays with trucks and trains……..And that Noah plays with our play kitchen, cares for a baby doll, and enjoys our dollhouse. Domestic imaginative play is equally important for future mommies as well daddies! 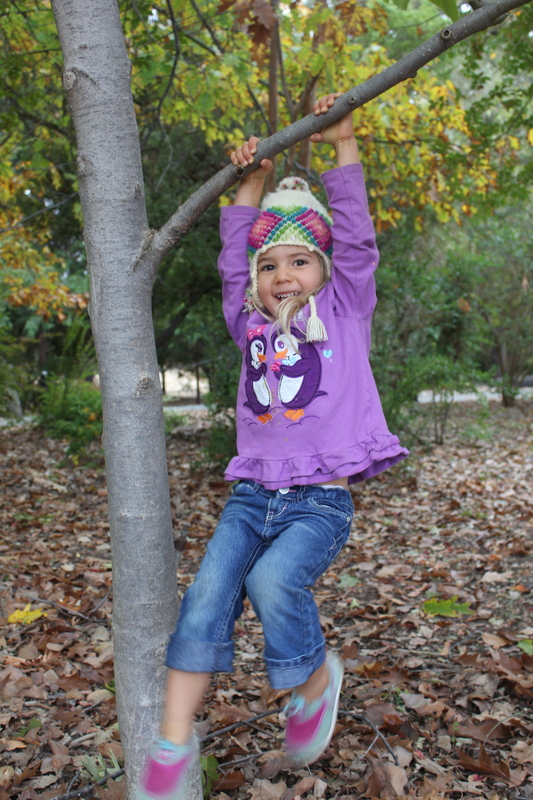 Consider crossing over the gender stereotypes this Christmas, buy what your little girl is interested in even if its not in the pink aisle, and buy from private toy stores like Five Little Monkeys in Walnut Creek where gender neutral is more the norm still. Here is my other soapbox of the day–being a minimalist at times, I feel that less is more when it comes to toys. 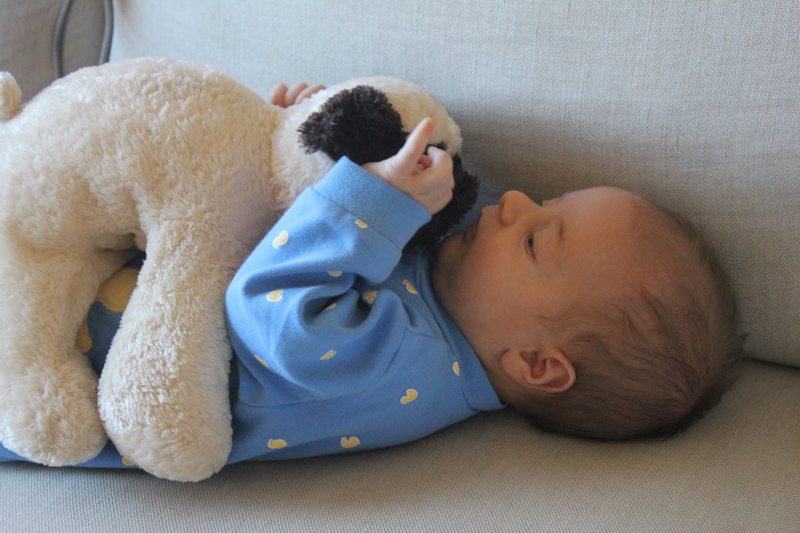 Having less toys can actually be better because it protects children from spoiled ways. I know most of us would agree that we don’t want our child crying in the toy store aisle for more toys, or having no comprehension of how much stuff he has compared to the rest of the kids in the world, or thinking that Christmas is only about getting new toys. We know too much of a good thing is a bad thing. 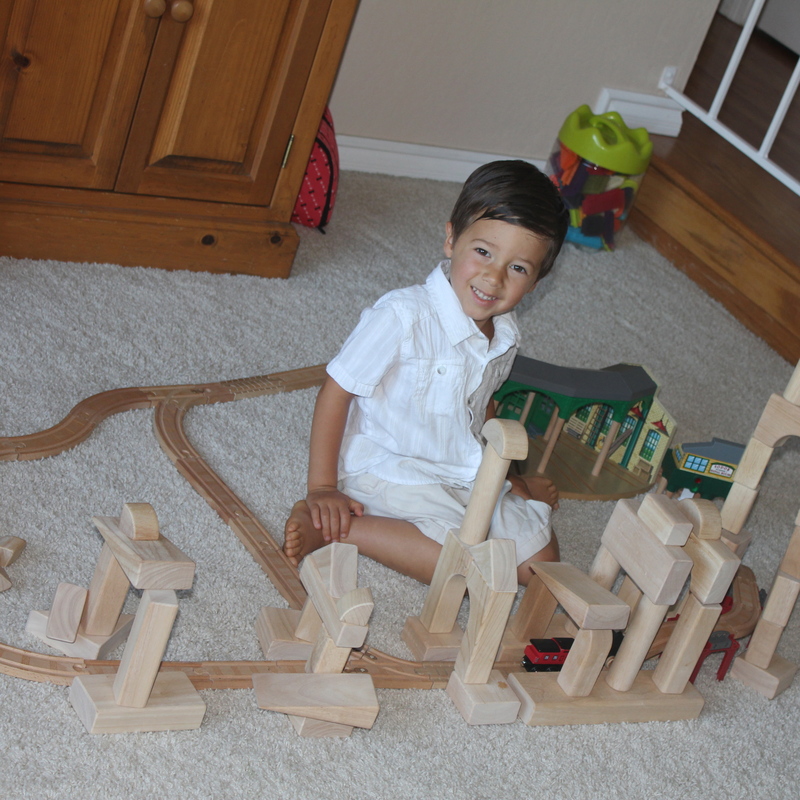 Excessive amounts of toys can actually be a hindrance to a child’s development. 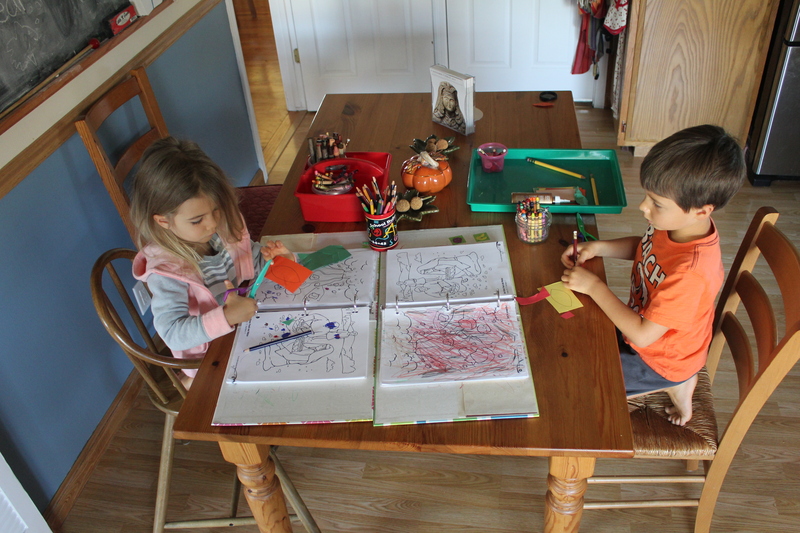 Fewer toys allows children to love books, music, writing, coloring, and painting. Kids getting everything they want leads to the unhealthy belief that they can have everything they want. 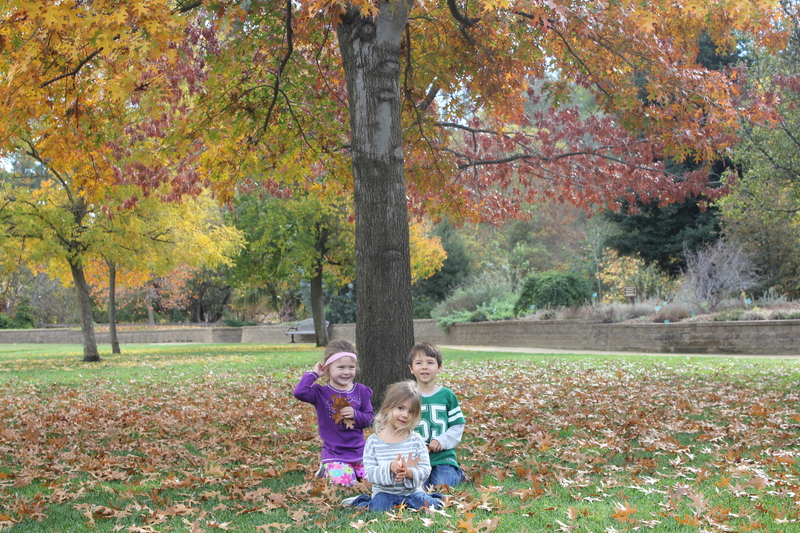 Kids who have less toys play outside in nature more. Kids with less toys often value what toys they have more, and thus learn to take better care of what they have. 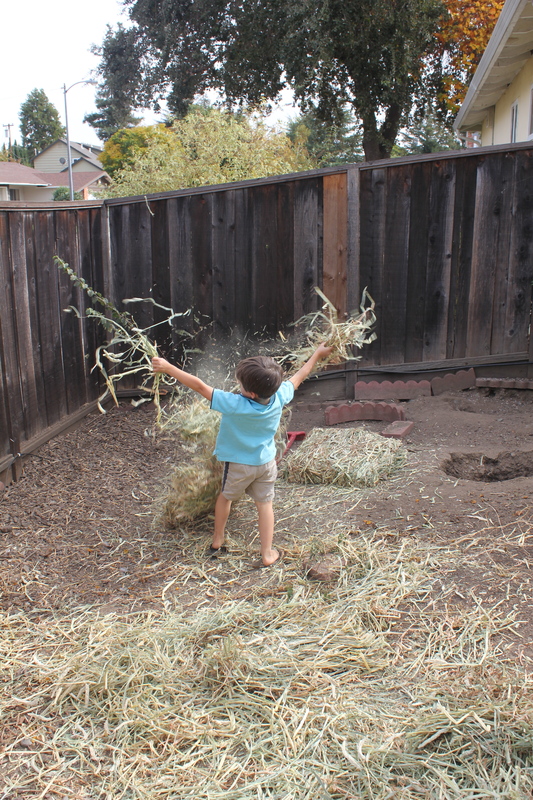 Too many toys prevents imaginative play; less toys forces kids to be more creative. Kids with less toys can develop longer attention spans by playing with the same toy for longer periods of time. Kids that have too many toys sometimes live in a constant fantasy world and they do not participate and learn from doing real things, real work, in real life. 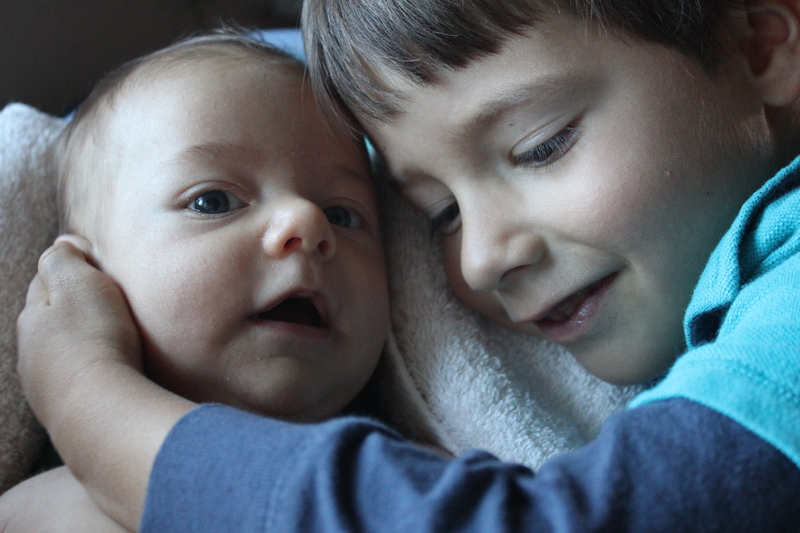 For all these reasons and more, I try my best to keep my kids from toy land mania, and have them focus on giving to others–especially during times of the year like right now when all thoughts are on me, me, me, and what I want for Christmas. I haven’t really been able to think of anything that Noah, my 3 year old, needs for Christmas anyway because he is still so happy and engaged with all the toys he has. 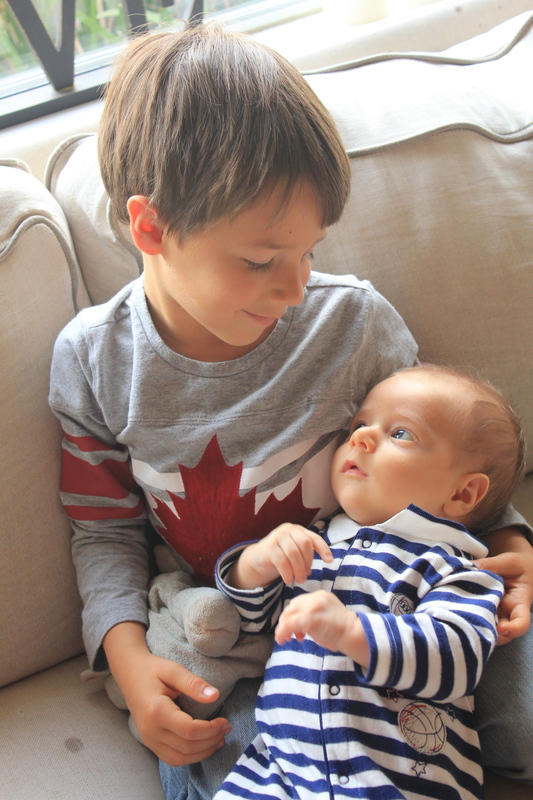 Then the other day, Noah declared the sweetest thing ………”Mommy, some boys are selfish and keep all the gifts to themselves. I already have a lot of toys, so I don’t need any Christmas presents this year. Maybe just two next year.” I hugged him tight for saying that, marveling since he has been daydreaming and talking about his Christmas presents for months now. Now what do I do? 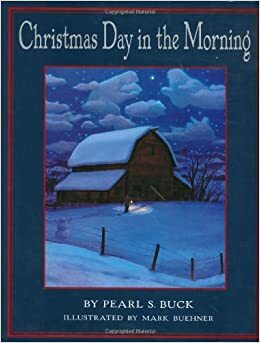 How do I encourage that good heart in him, perhaps even allowing his beneficent wish to come true, while still wanting to lavish on my boy who waits all year for the special traditions of Christmas morn? 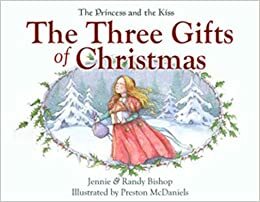 This is something I will have to ponder and get back to you on…….In the meantime, I want to help some of you who are still celebrating Christmas :), to wisely choose the gifts your buy for your kids this year this year! 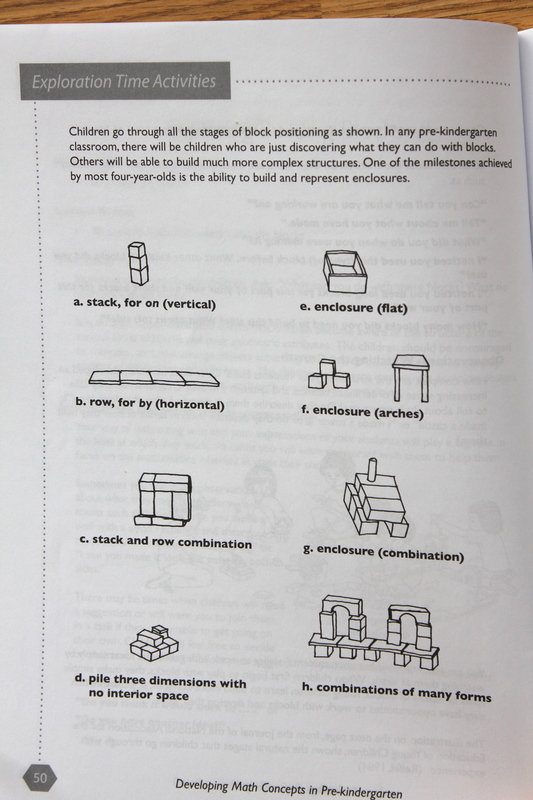 I love open ended educational toys that are recommended for a wide age range. Toys that have multiple levels of use become more and more interesting to children as their thinking becomes more complex. I love how I get my money’s worth out of these long lived toys and how I don’t need to replace them as often. If the toy can challenge me, while still being accessible to my preschoolers, I know its a good non-expiring toy and my kids will be able to use it for a long time. 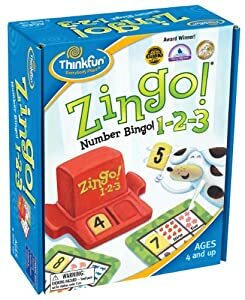 I find that usually these type of toys are educational (like blocks) rather than entertaining (like a light up Buz Light Year on rolling wheels). 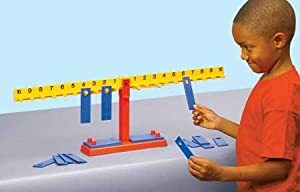 Since math manipulatives were pretty non-existant in schools before the ’90s, I think parents often overlook these type of beneficial toys because we were raised only knowing pencil and paper math. When I tell Noah to pull out some “math” before school starts, he views it as time to play because he sees his math materials as toys. Preschoolers are not ready for pencil and paper math (even elementary student readiness is arguable), and so math work is simply playing or manipulating objects that once explored deeply enough, reveal the foundations of fractions, geometry, number sense, symmetry, etc. This type of hands on learning provides a more sure mathematical foundation for paper and pencil math later. And since kids see these “manipulatives” as toys, why not gift them as such at Christmas, thus making play time at your house this coming year more educational? I am including a list of our own favorite math toys here to help you get started. 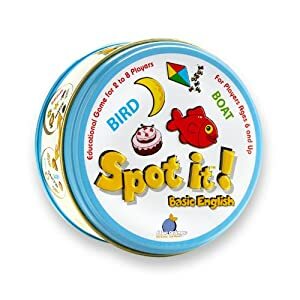 I have also included our one can’t-do-without language toy. Having several math toys is beneficial, but I feel only one language toy is really necessary because most language learning for young children comes from listening, speaking, and being read to. 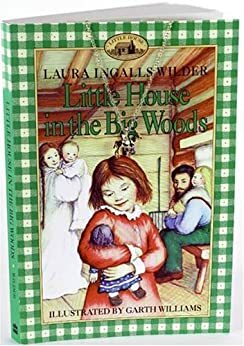 Well written books are always a wise gift choice for our children, and so I will also provide you a hand selected book list of some of our family favorites that we own (some soon to be owned), with an emphasis on Christmas literature. 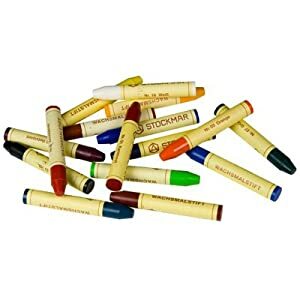 Rainbow Resource is a Christian Homeschool Supply Company that offers very competitive prices on educational toys. It is possible to shop somewhere besides Amazon! 🙂 And you can support a Christian business with your purchases! Standard Unit blocks teach math because the dimensions of each block shape in a set of unit blocks is a multiple or a fraction of the size of the piece defined as the “unit”. The “unit” is a rectangular piece of maple measuring 5 1/2” in Length by 2 3/4” in width by 1 3/8” in height or thickness. The name of each basic rectangular block shape in a set is based on its size as compared to the length of the “unit”, e.g., the Unit Block is 5 1/2“ long while the Half Unit Block is 2 3/4” long, the Double Unit Block is 11” long and the Quad Unit Block is 22” long. The dimensions of all other block shapes, including the columns, the pillars, the triangles, the curves, etc., are proportional to the length, width and height dimensions of the “unit”. This is the source of the term, “Standard Unit Blocks”. Unit Blocks are an essential for basic math concepts, imaginative play, organizational skills, physical development, sequential skills, social interaction, spatial relations, structural design and creativity! If you have the basic set already, you could order some additional blocks item by item since the Melissa and Doug set doesn’t include items like the 22″ Quad block or the Double Unit Pillar block for example. The art loving side of me is drawn to pattern blocks because they make math beautiful. Pattern blocks are geometic shapes that make wonderful mosaic deisgns. In the primary grades we can use them to sort, pattern, to explore transformations, symmetry and congruency as well as compose and decompose shapes. Kids need to learn that patterns are not always in a straight line like ABABAB, but can expand out in every direction. In the upper grades we can use them to explore, add & subtract fractions as well as do angle work. You can use pattern blocks to teach number sense (counting, fractions, estimation), statistics (graphing) and probability, as well as geometry and algebra. This Melissa and Doug pattern block set is a good starter set if you feel like you want some initial structure for using the pattern blocks, but eventually its great for kids to make their own patterns. Plus, you don’t need pattern boards because you can always find plenty of templates to print off online. So in that case, you could get way more blocks for the same price if you forego the pattern boards and just buy a big set of pattern blocks (you will probably need more pattern blocks than the set Melissa and Doug offers anyway in order to make complex patterns later). 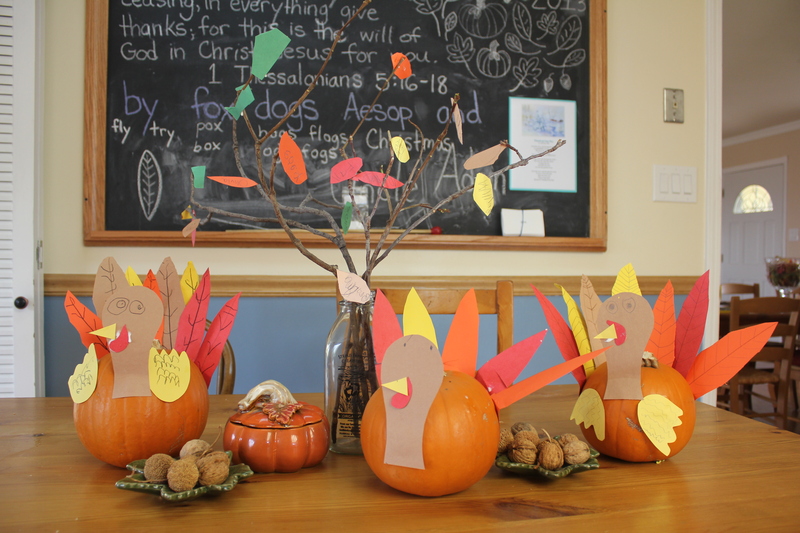 And look what your preschooler can make (even without a template)! A Marble run is fun and challenging to little and big minds alike as you design, build, and test your runs. 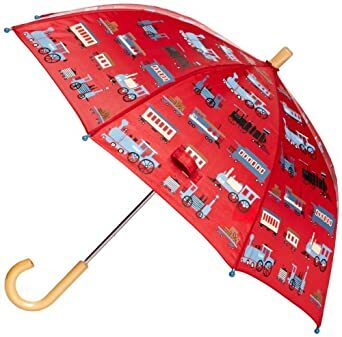 This was definitely a favorite toy at the preschool where I used to teach! The beginning principles of mechanics and physics of motion make gears an educational toy. We have had gears for a year now, and it is not collecting dust at our house! 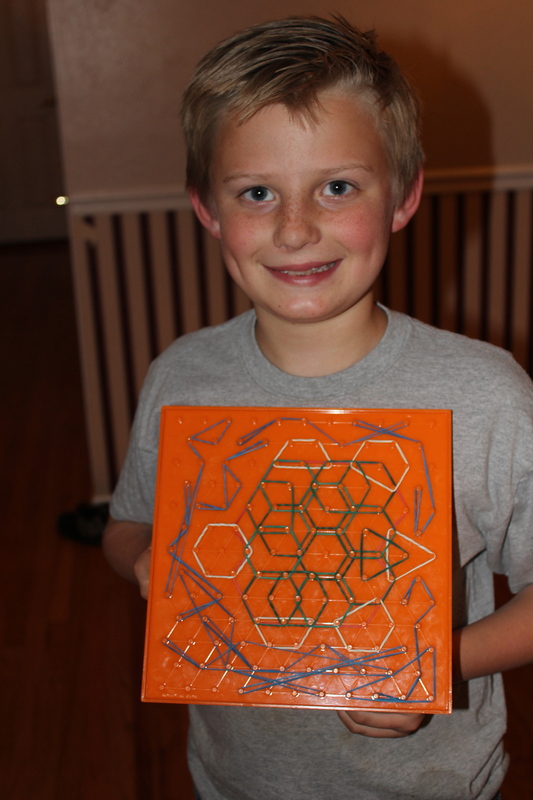 Other examples of good math “toys” to buy would be unifix cubes, geoboards, and a large die. We use this puzzle almost everyday!! We don’t just use it as a puzzle, but as a word building tool too (I wrote a whole post on this puzzle. 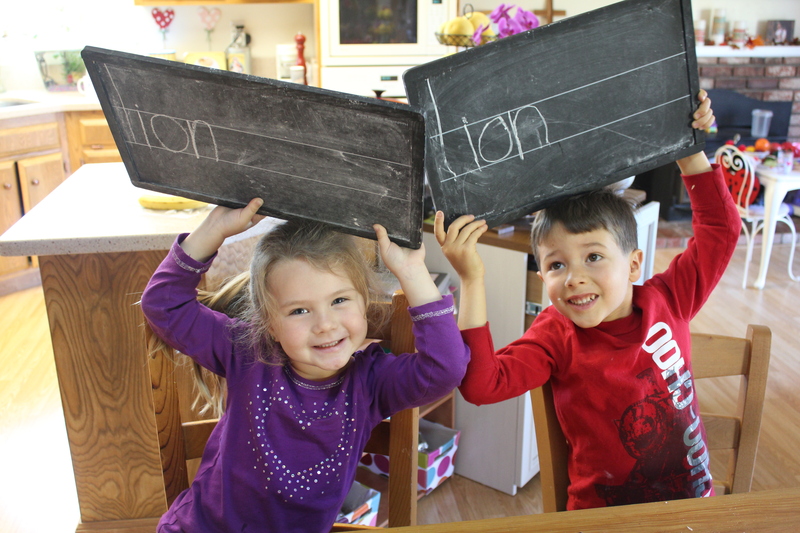 Kids who can work with larger words should buy a moveable alphabet instead–read about it here). You may feel that you don’t need another alphabet puzzle if you already have one, but I just think this Lauri version is the perfect one for many reasons! Its lowercase, its crepe rubber and the pieces stay put, the phonics mat behind serves as a reminder of each letter sound, and its very inexpensive. There is something about the feel of pushing the crepe rubber letters in and pulling them out that is so gratifying to the senses, even for me. LOVE it!! 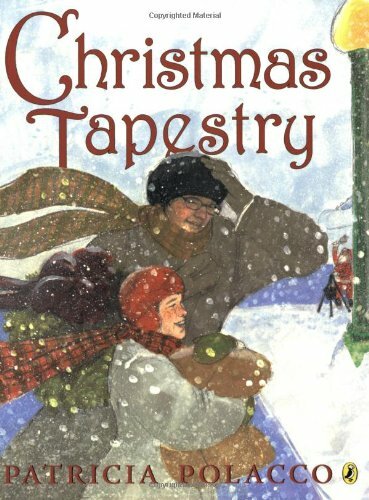 Christianbook.com has free shipping through December 6th! Its a great alternative to Amazon because you are supporting a Christian company! 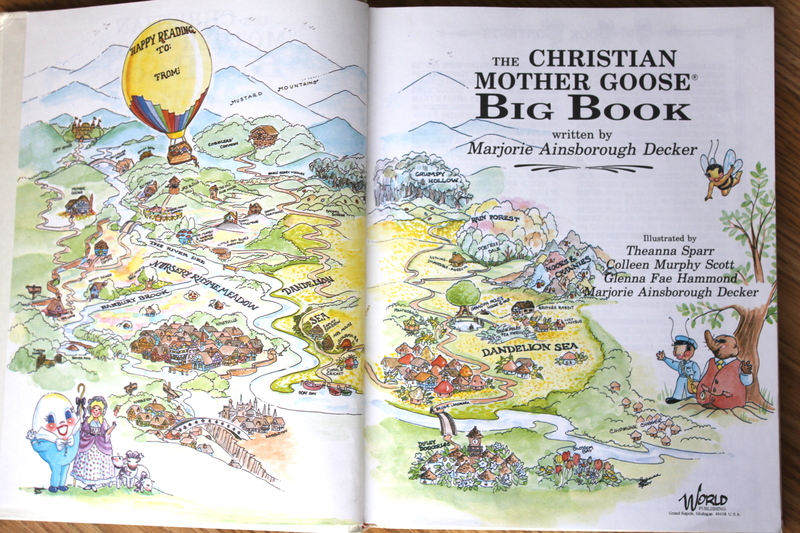 Its a strange feeling that the cast of characters in Christian Mother Goose has become part of our family because they are so loveable. 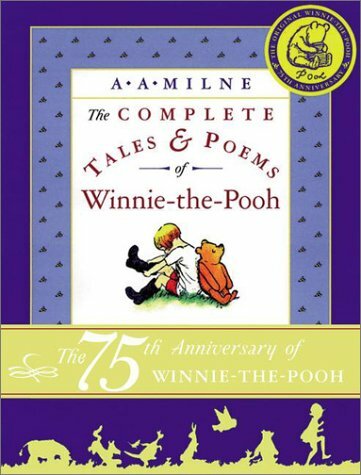 The poems can be a bit eccentric, but we love it, and the concepts are so beautifully deep that it is definitely a book to grow with. Look up the “Big Book” to get all three volumes in one. Click on this map that shows where all the characters live! You will see how the author put her heart and soul into this book. 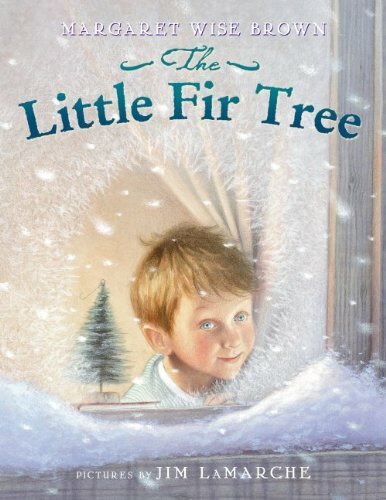 In the midst of all the Christmas preparations, curious Little Cub asks one day, “Who invented Christmas?” Mama’s answer only leads to more questions, like: “Is God more important than Santa?” So Mama decides to take Little Cub on an expedition to discover how God gave them Christmas. As their journey unfolds, the pair finds signs that God is at work all around them. Mama’s gentle guidance helps Little Cub discover that Jesus is the best present of all! 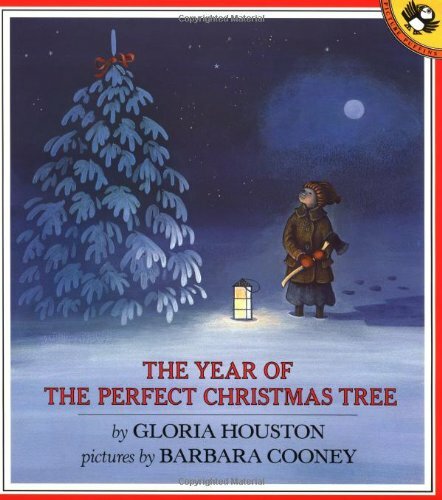 I like this book for offering kids proper perspective on Santa’s role in Christmas. 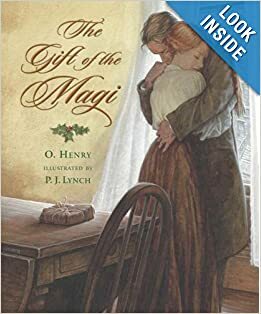 A sweet story from 1933 with dear vintage illustrations about 10 angels who quietly go about doing good on Christmas Eve. It inspires my little helpers at home. Jonathan Toomey is the best woodcarver in the valley, but he is always alone and never smiles. 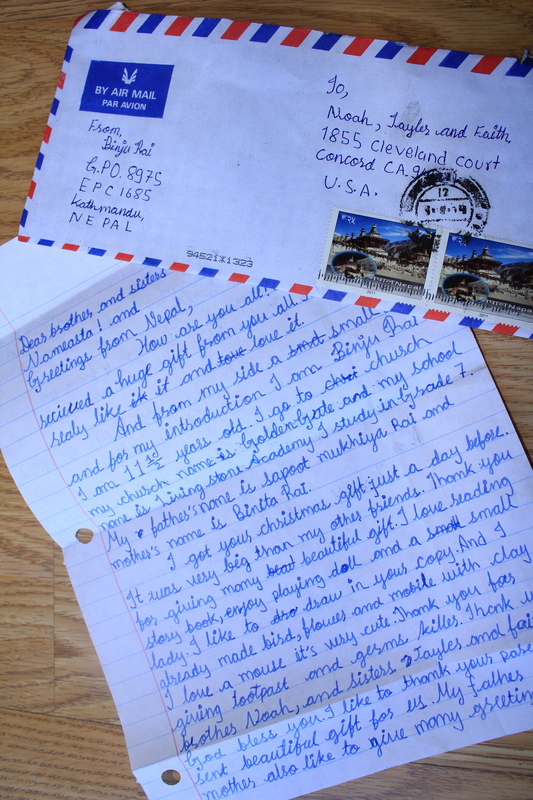 No one knows about the mementos of his lost wife and child that he keeps in an unopened drawer. 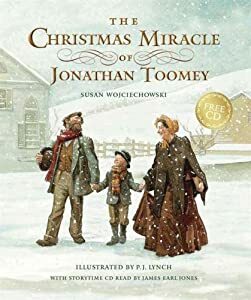 But one early winter’s day, a widow and her young son approach him with a gentle request that leads to a joyful miracle. 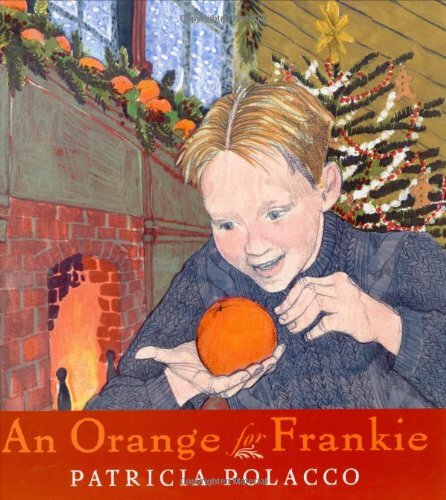 The moving, lyrical tale, gloriously illustrated by P.J. Lynch, has been widely hailed as a true Christmas classic. 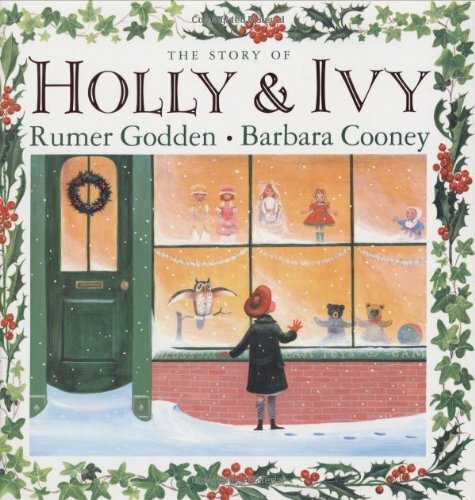 Also, any of the books listed in my December Lesson Plans would be a great choice for Christmas books! I Hope this Makes your Holiday Shopping a Little Easier! Happy Shopping Friends! …….So what are your children’s favorite toys, and your personal Christmas wishlist for this year?